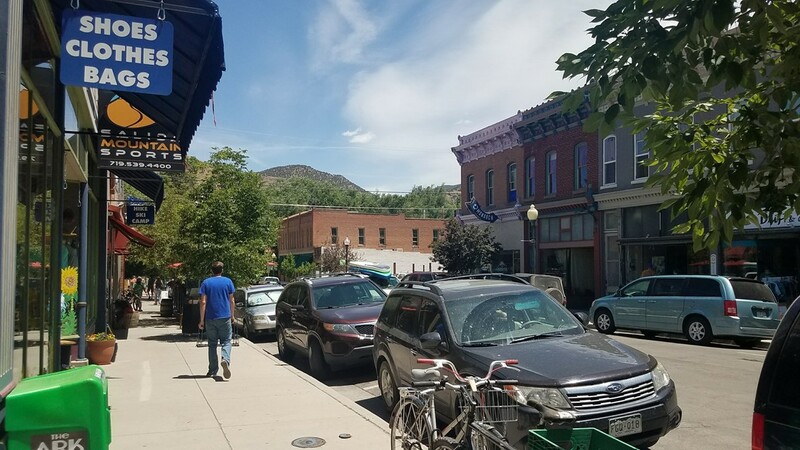 Salida, a mountain town in the Rocky Mountains of Colorado, has been named the 'Best Unsung Mountain Town' by Outside Magazine in 2017, one of the "20 Game-Changing Places to Live" by Sunset Magazine, one of "America's Coolest Town's for Outdoor Adventure" by the Matador Network and one of Vogue's "9 U.S. Destination to Visit in 2018." 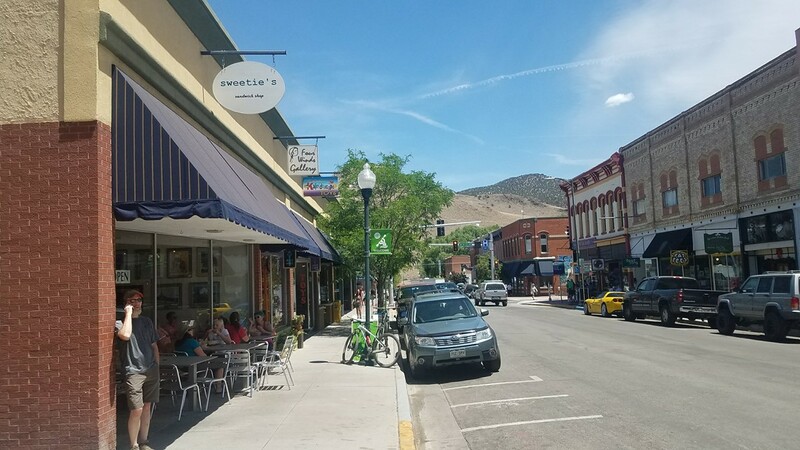 SALIDA - Known as the “Heart of the Rockies,” the mountain town of Salida has long been a hub of tourism, transportation and industry in the region. 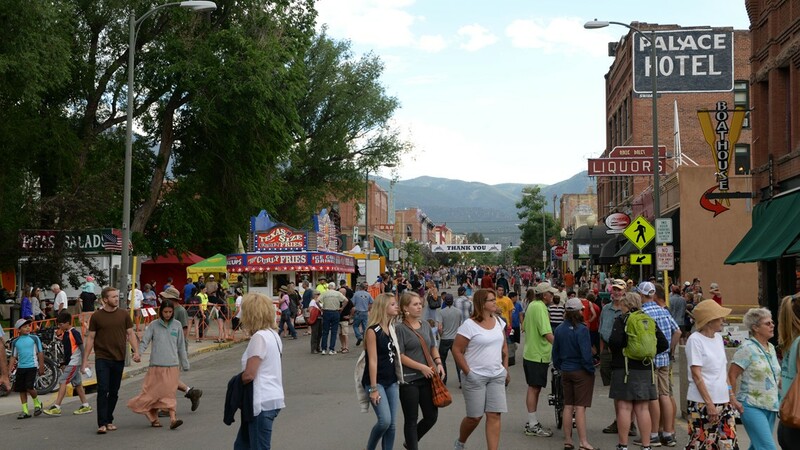 The city sits at an elevation just over 7,000 feet, but it is surrounded by a large concentration of 14ers. 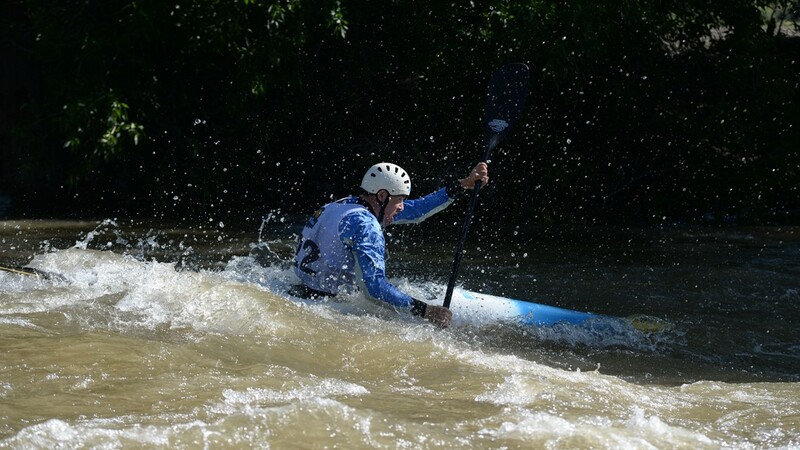 The combination leads to gorgeous scenery, amazing opportunities for recreation, yet a surprisingly mild climate. 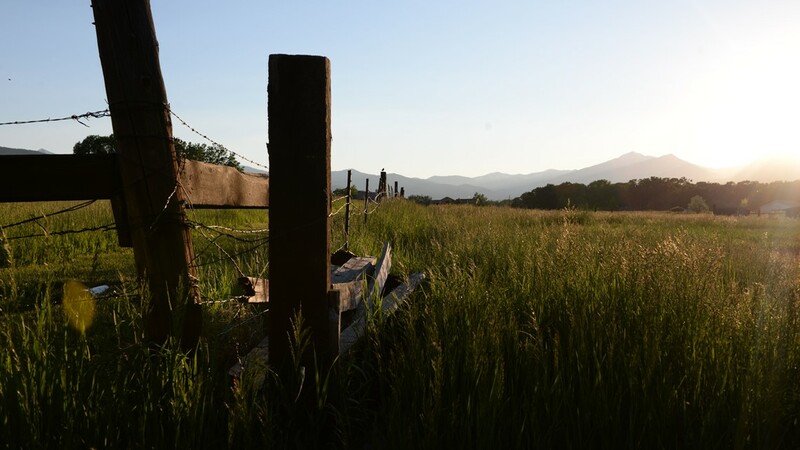 The average high in January stays around 49 degrees while in July it only reaches an average of 77. 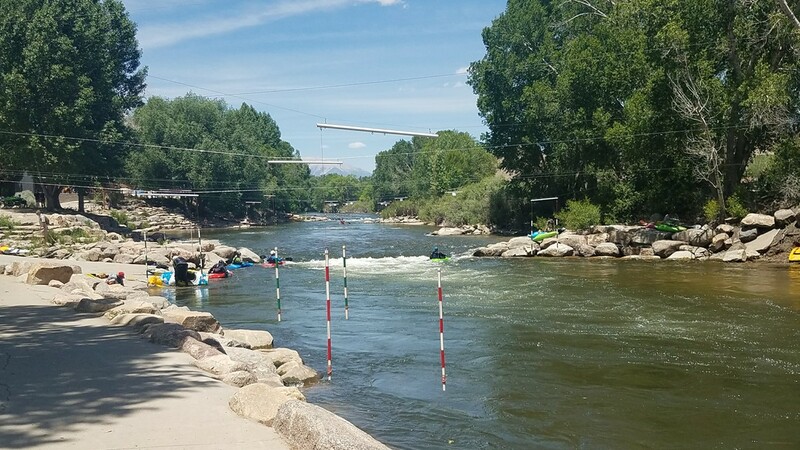 Other than the 14ers (there are 15 of them around Salida), the city is also known for skiing at nearby Monarch Mountain, mountain biking, gold medal fishing opportunities and, most of all, the abundance of whitewater sports on the Arkansas River. 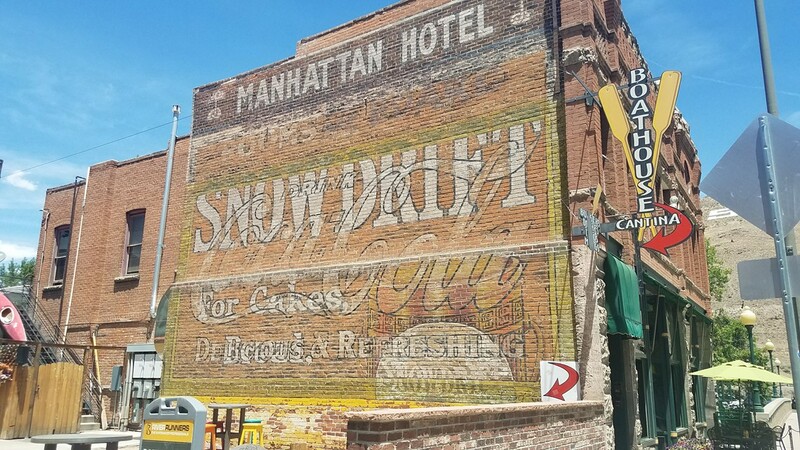 Known as the &ldquo;Heart of the Rockies,&rdquo; the mountain town of Salida has long been a hub of tourism, transportation and industry in region. 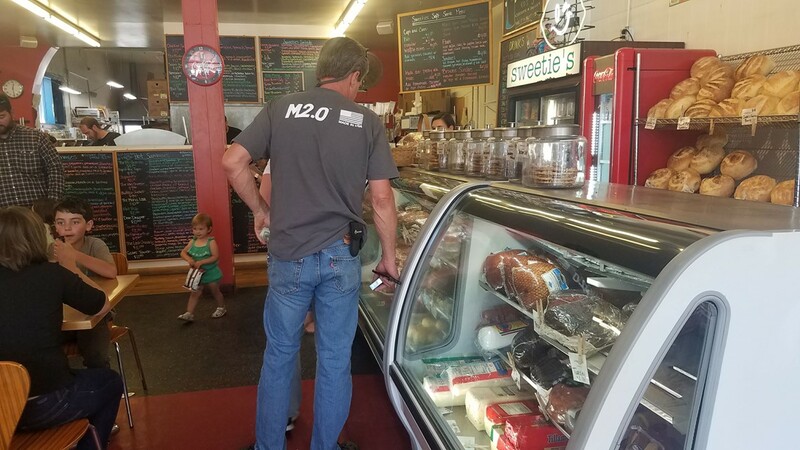 Easily one of the most recommended places to stop for a bite to eat in Salida is Sweetie's Sandwich Shop. 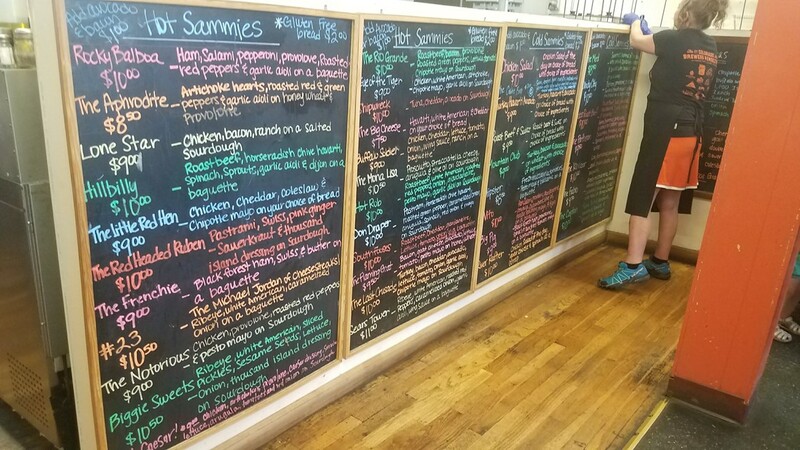 Open since 2012, the restaurant has a menu of over 60 different sandwiches. 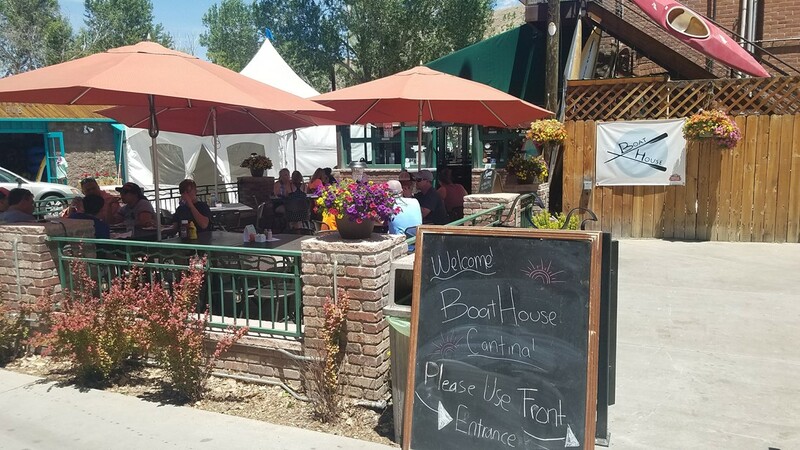 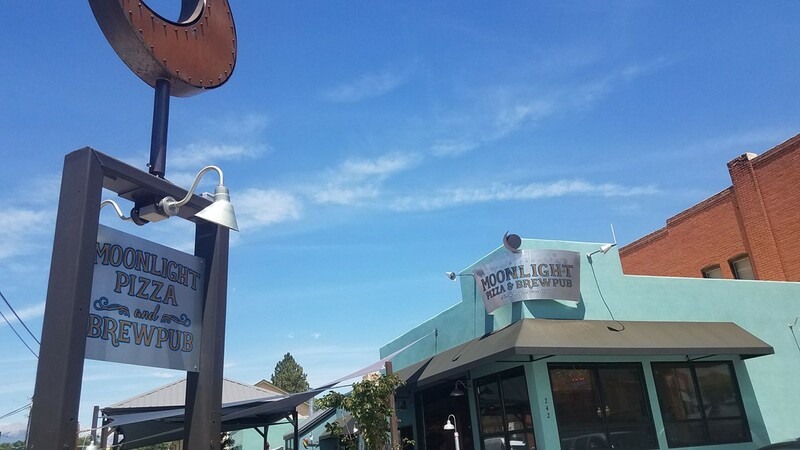 The Boathouse Cantina is a very popular riverside restaurant in Salida. 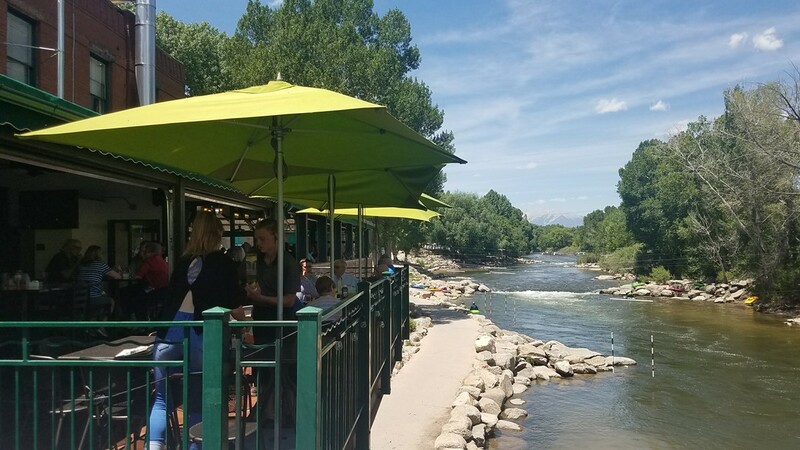 On a nice day, you'll find their large patio packed with people grabbing a drink and burger while watching kayakers and rafters make their way down the Arkansas River. 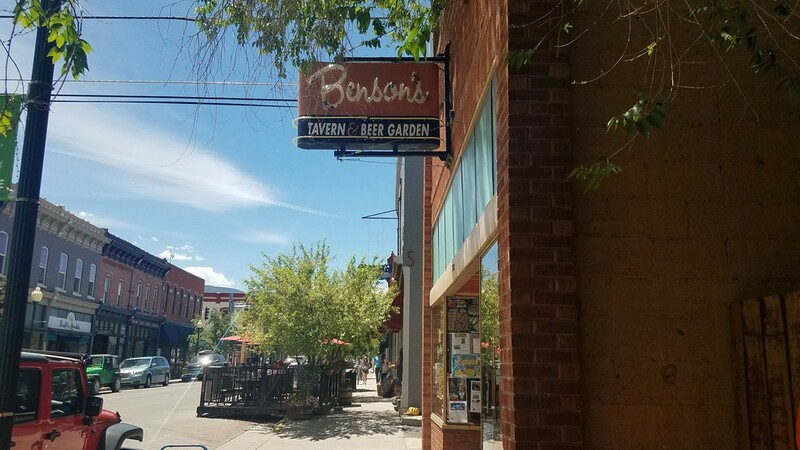 Benson's Tavern and Beer Garden is another spot you'll often find a full patio on beautiful summer evenings. 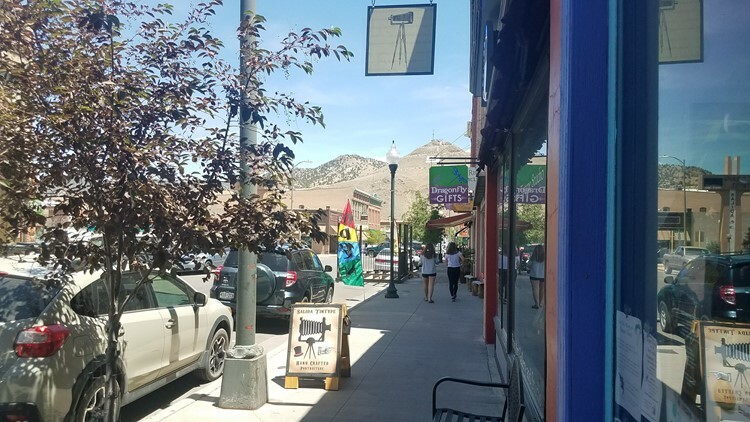 Salida has two popular pizza places. 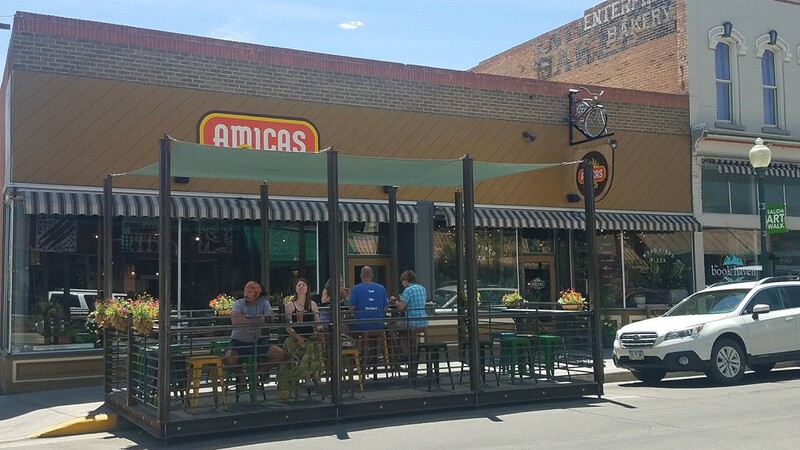 The first is Amicas, a downtown spot focused on locally-sourcing their ingredients and focusing on the community they serve. 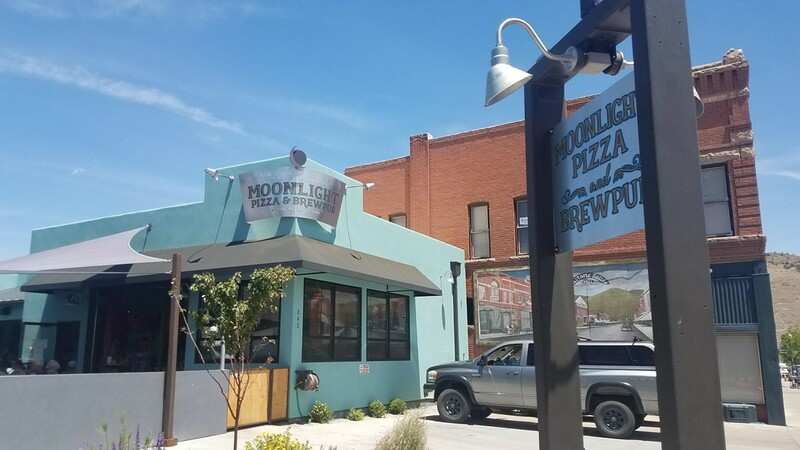 The other is Moonlight Pizza. 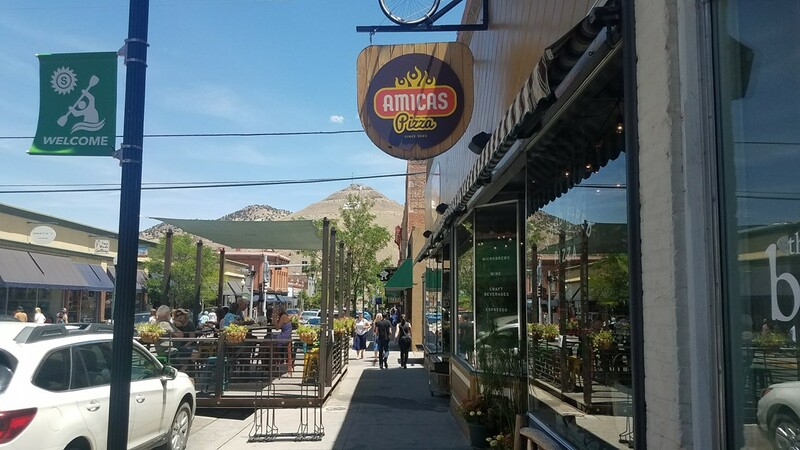 They've been serving Salida fresh pizza on homemade dough since 1994. 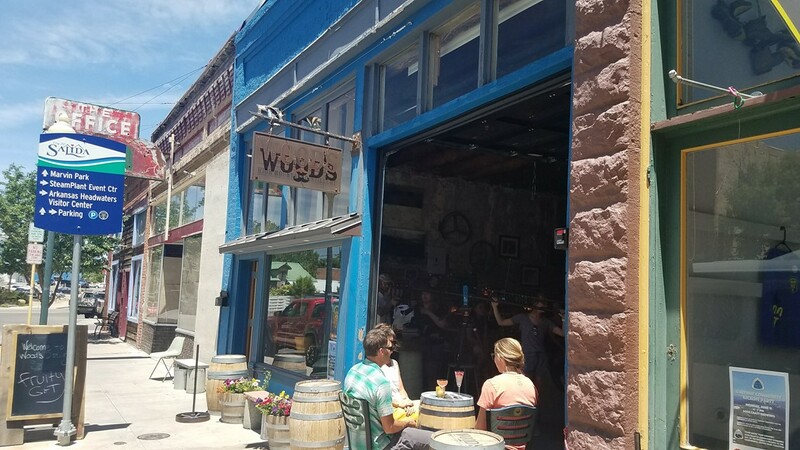 One of the top-rated restaurants in Salida is The Fritz. 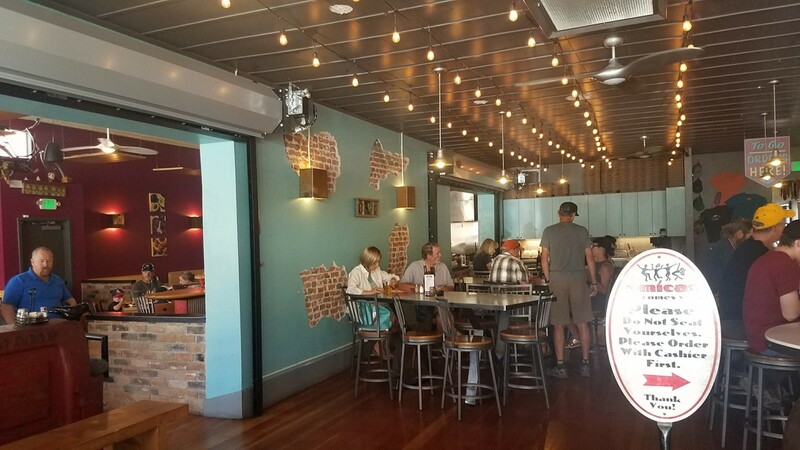 It opened in May 2010 and is known for American, French and Spanish tapas, sandwiches and truffle tries. 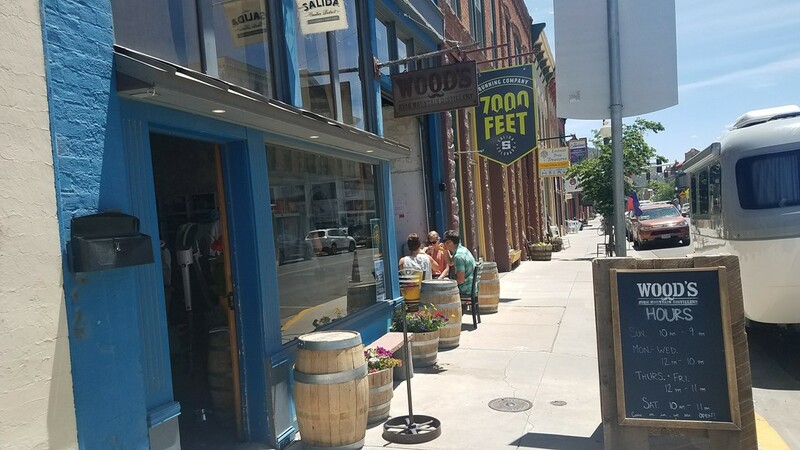 Wood's High Mountain Distillery has been making whiskey, gin and liquors in Salida 2012. 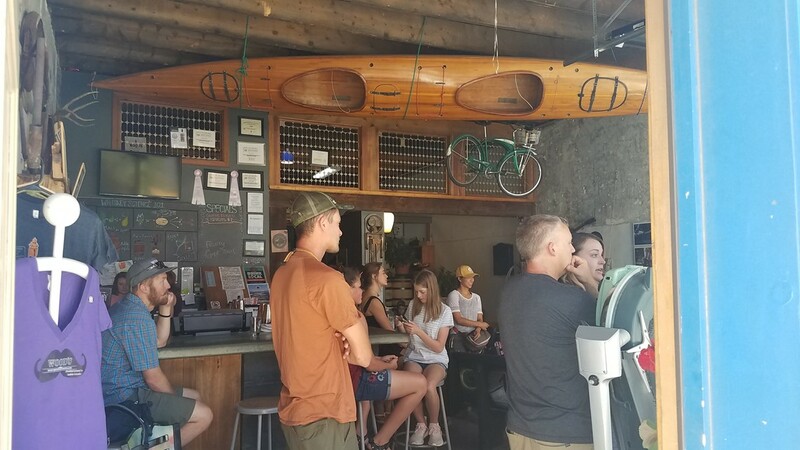 They have tastings and offer daily tours. 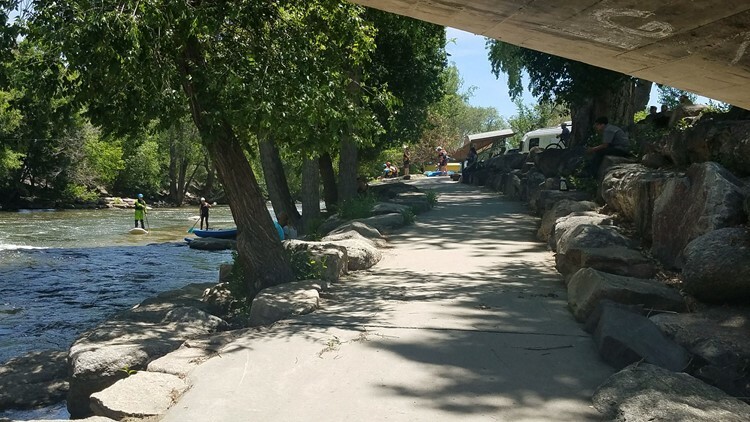 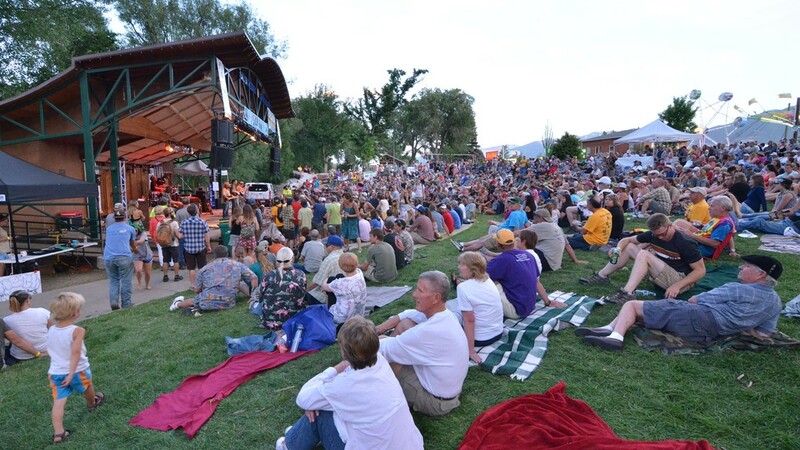 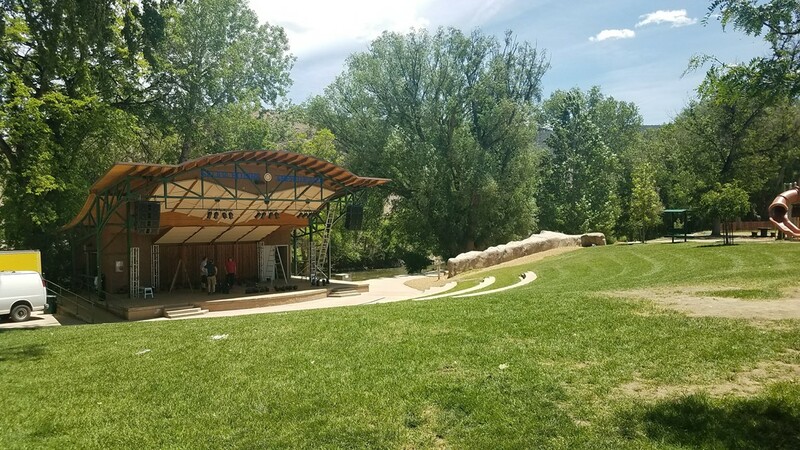 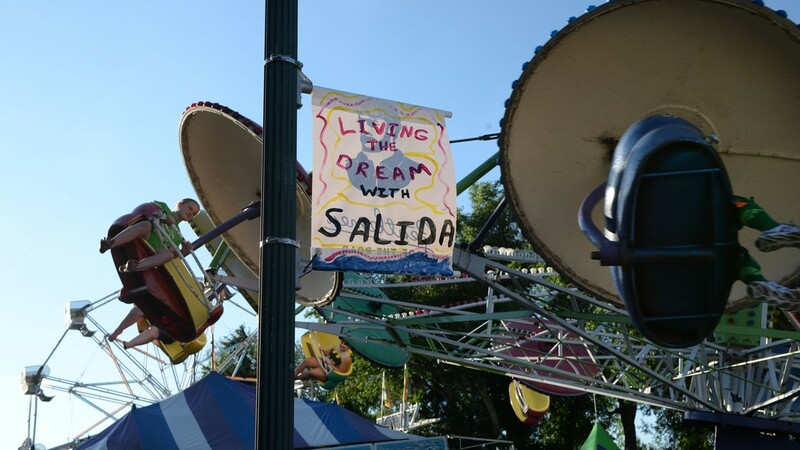 Riverside Park in downtown Salida is also home to a weekly summer concert series as well as live music for several special events throughout the year (like FIBArk). Riverside Park in downtown Salida is home to picnic tables, a short riverwalk, a playground, a bouldering wall and a lot of open space. 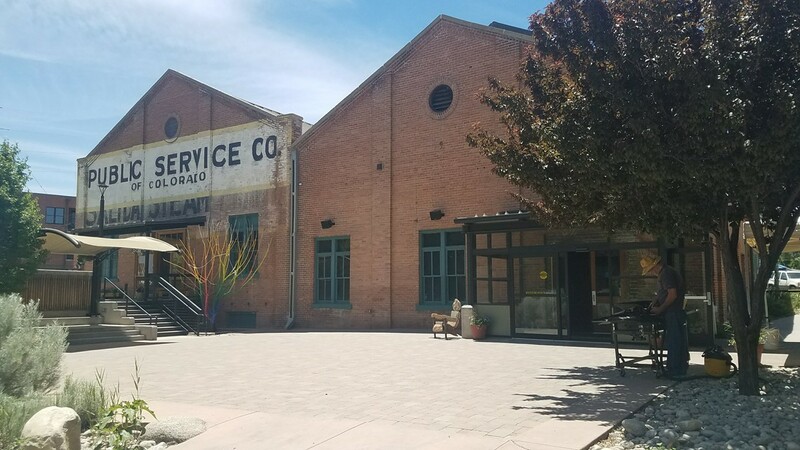 Originally built in 1887 for the Salida Edison Electric Company, the Salida SteamPlant Event Center is now home to art galleries, live theater performances, weddings, conferences, film screenings, banquets and other events. 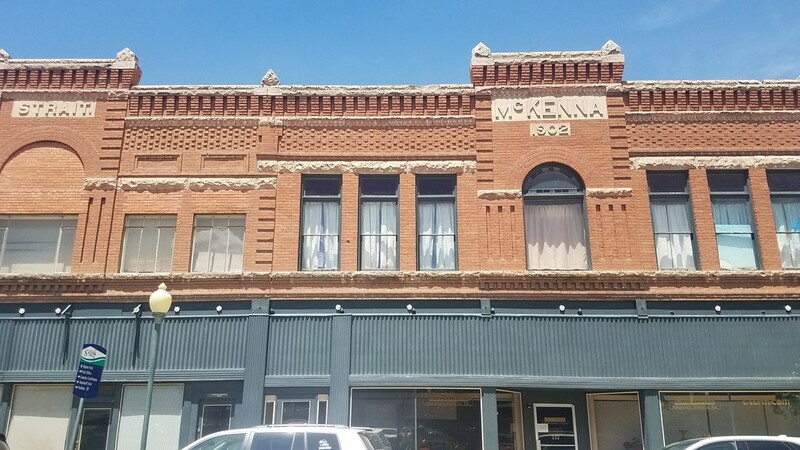 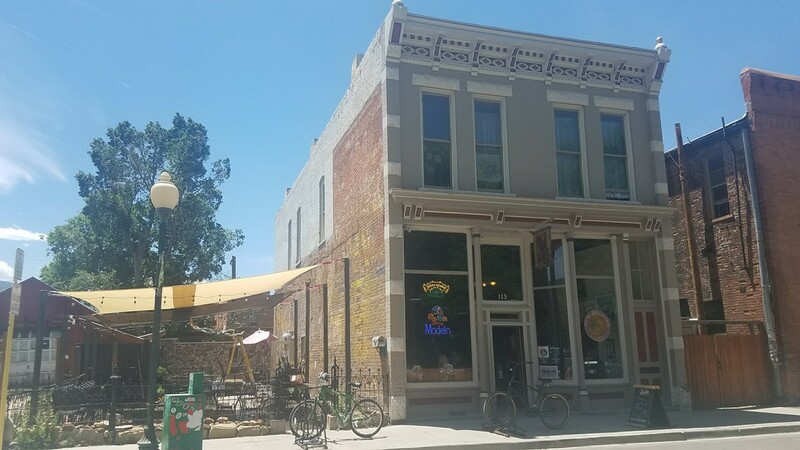 The Salida Downtown Historic District includes about 130 brick buildings from the turn of the century, the largest National Historic District in the state, according to the Salida Chamber of Commerce website. 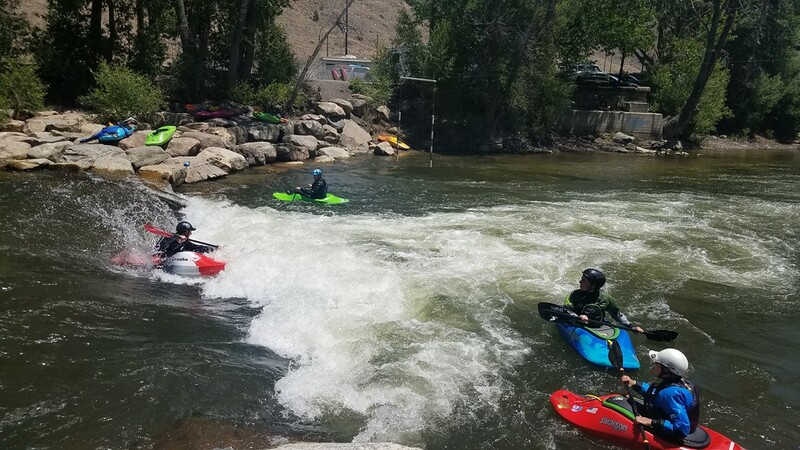 There are also several outfitters in Salida that will rent kayaks, stand-up paddleboards, etc and offer lessons on using them in whitewater conditions. 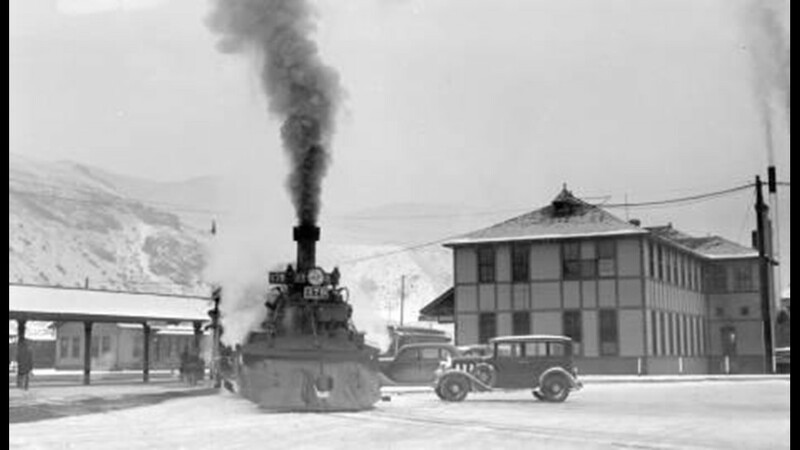 The massive 365-foot Salida Smokestack was built in 1916. 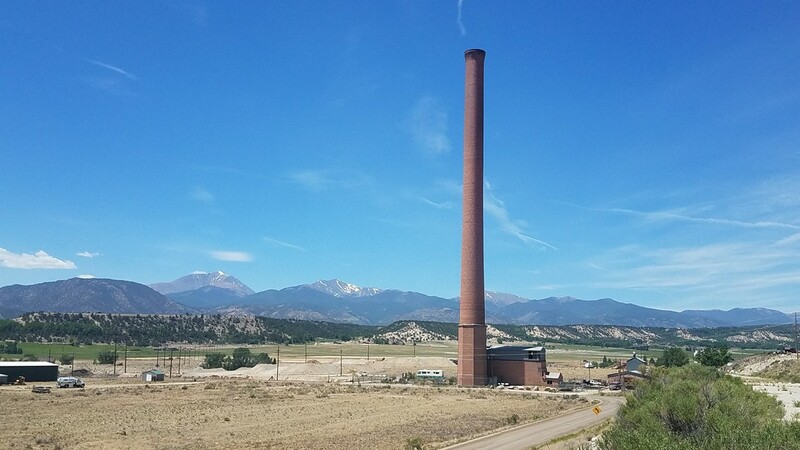 The plant closed in 1920 but the Salida Smokestack still stands as a landmark to those driving into town. 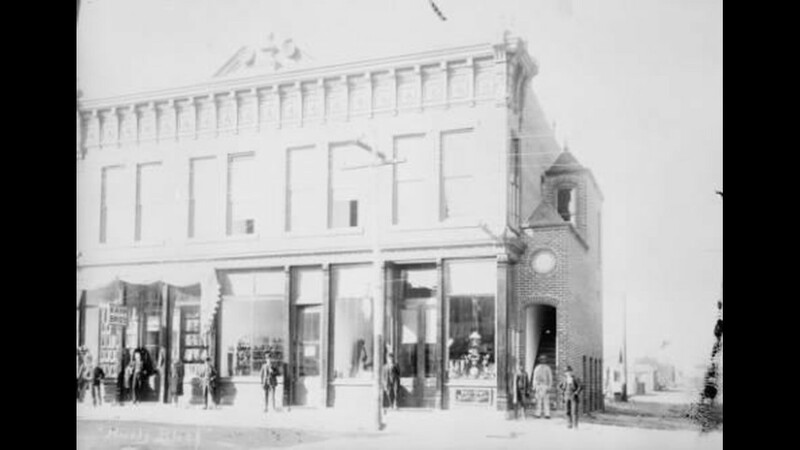 It was listed on the National Register of Historic Places in January 1976. 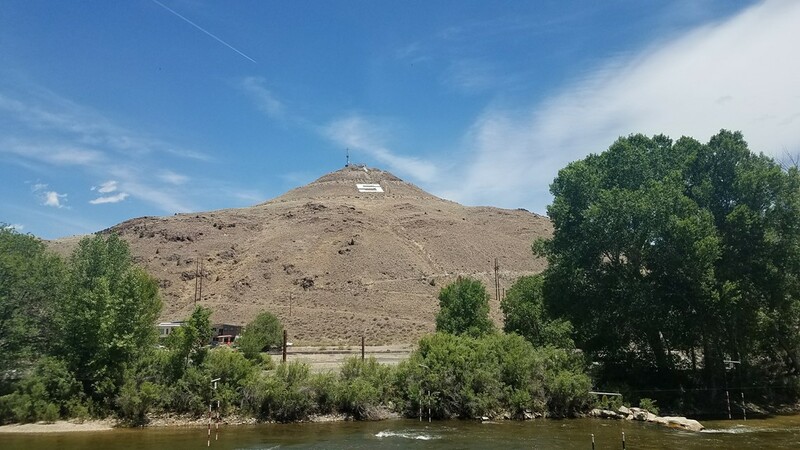 Just for comparison, the stack is taller than both the Leaning Tower of Pisa (179 feet) and the Colorado State Capitol Building (272 feet). Tenderfoot Mountain, on the East side of Salida, is marked by a large "S."
This story is part of our weekly 9Neighborhoods series. 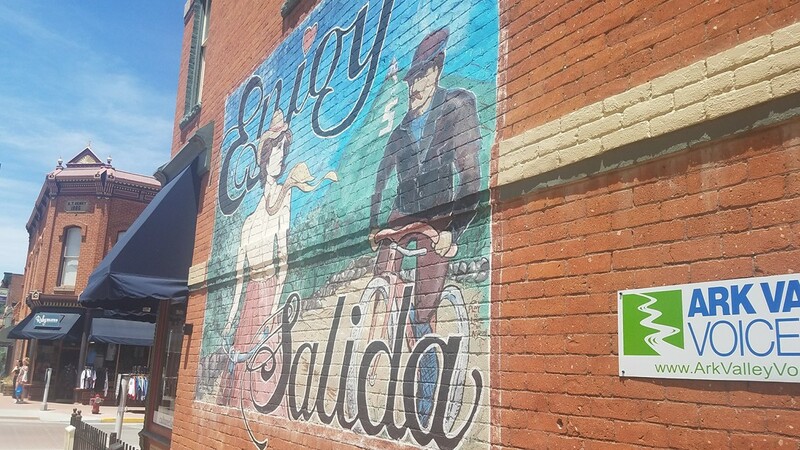 Join us Friday afternoon on Instagram for a photo tour of the city of Salida. 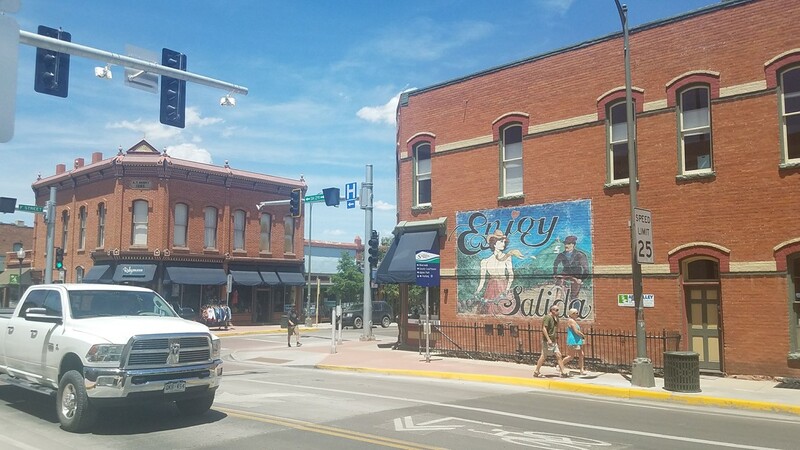 With a population of about 5,300, Salida is the largest city and the county seat of Chaffee County. 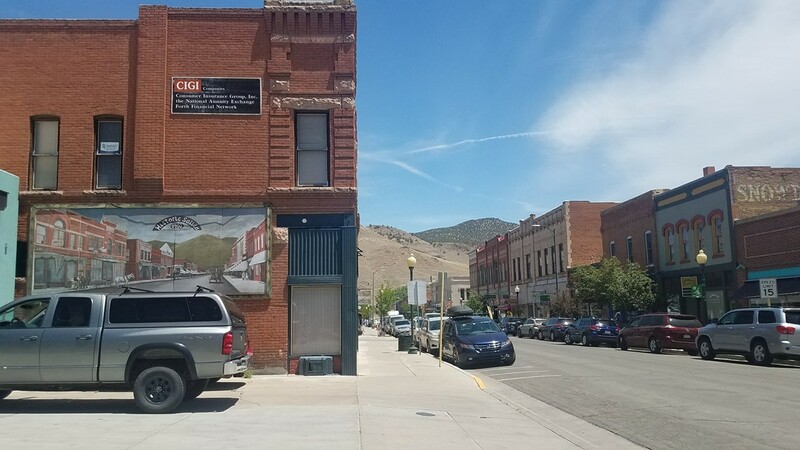 If you were tempted to join them, it will cost you $374,500, on average, to buy a home in Salida, according to Trulia.com. 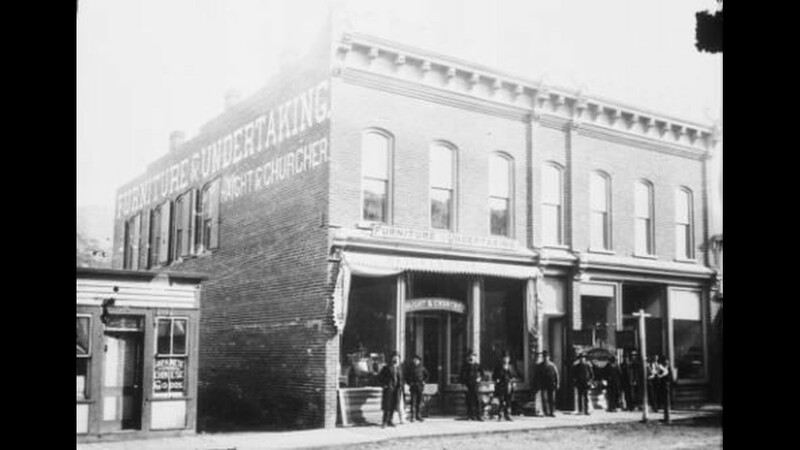 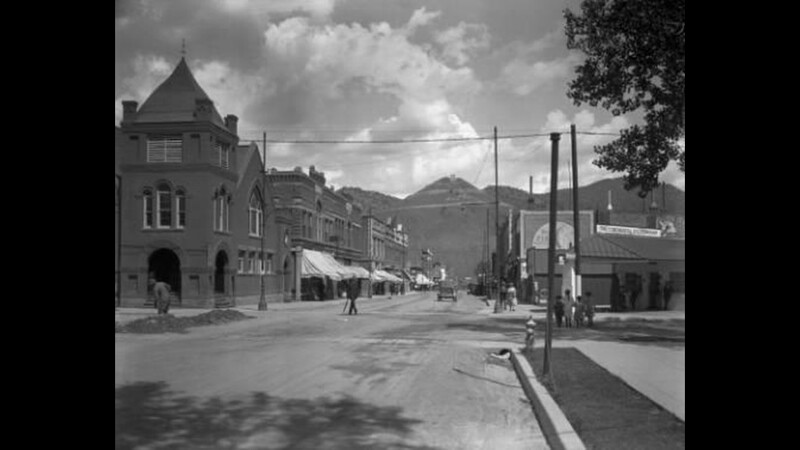 It was one of many mining towns in the region as gold, silver, copper and iron were discovered in Chaffee County. 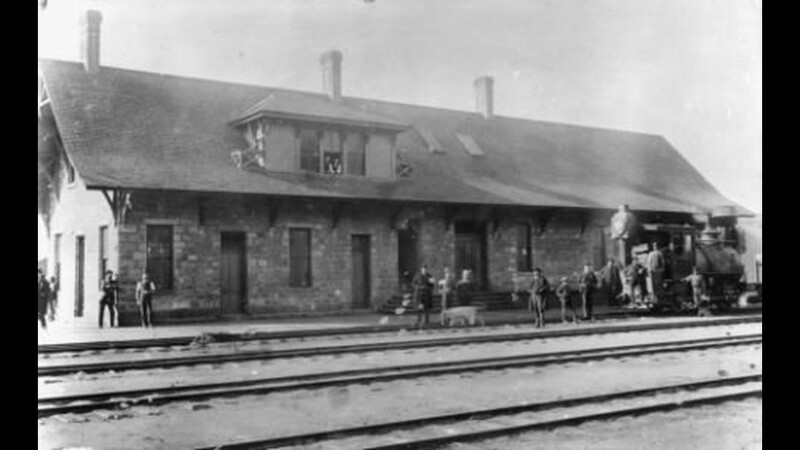 In May 1880, the Denver and Rio Grande Railroad bypassed an existing settlement just to the south, called Cleora, and arrived in the town. 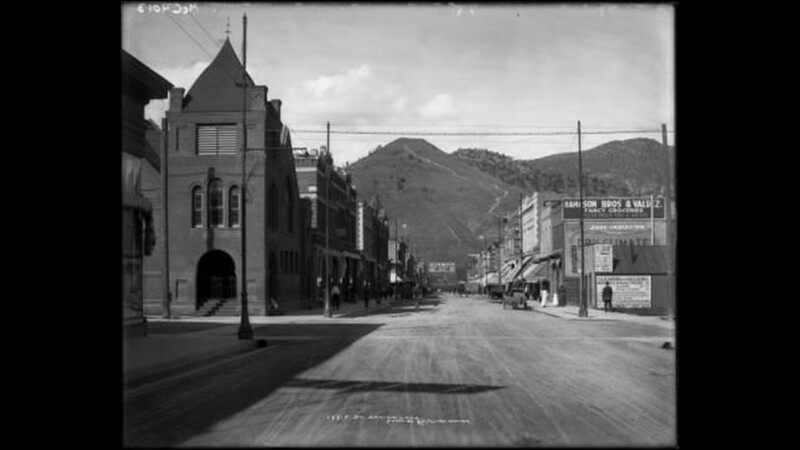 It was renamed Salida, which means exit, as it was at the gateway to the Arkansas River canyon. 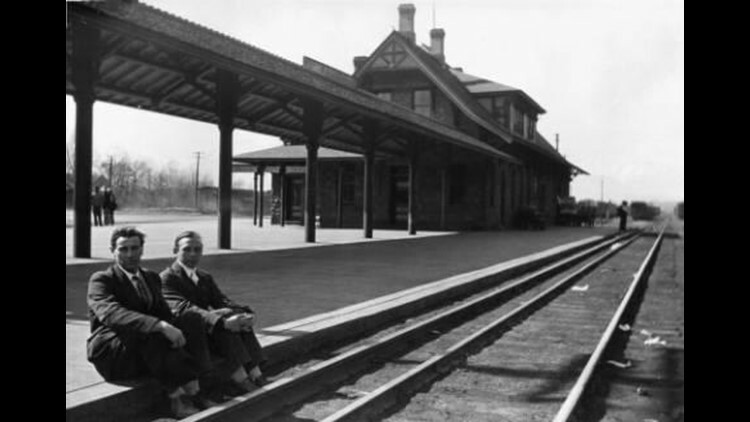 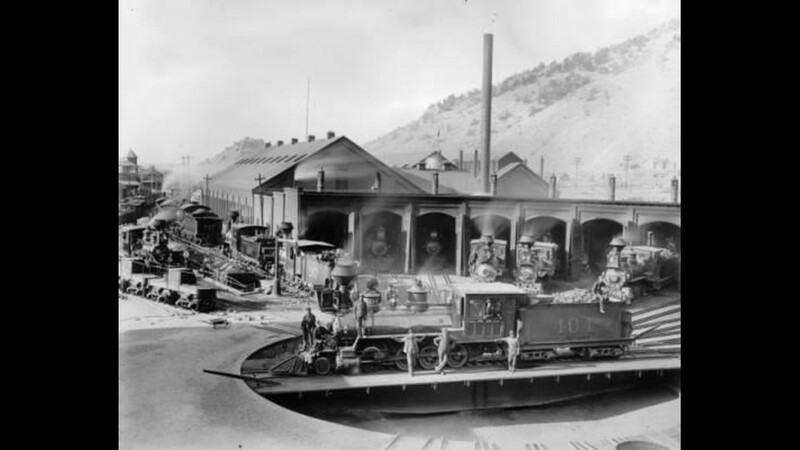 The railroad had chosen Salida as a major diversion point for its lines and built a maintenance yard, shops and two roundhouses. 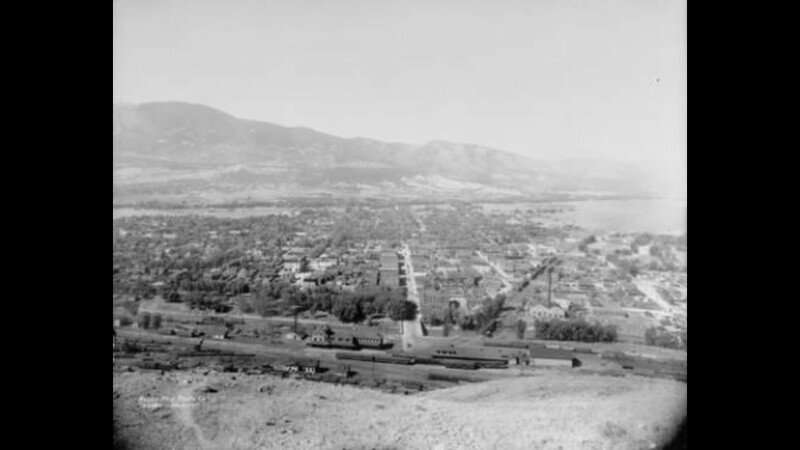 From the town, passengers could travel all four directions to Denver, Leadville, Salt Lake City or Gunnison. 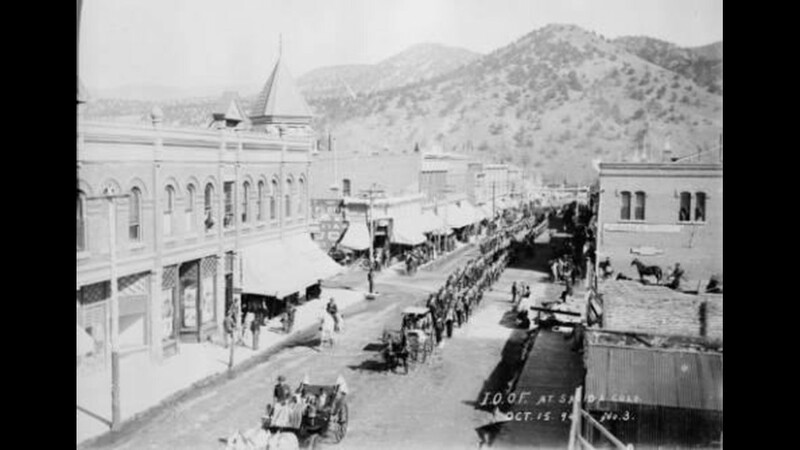 Tourists began to take advantage of being able to travel over mountains and through canyons so easily and Salida was quite literally in the middle of all of it. 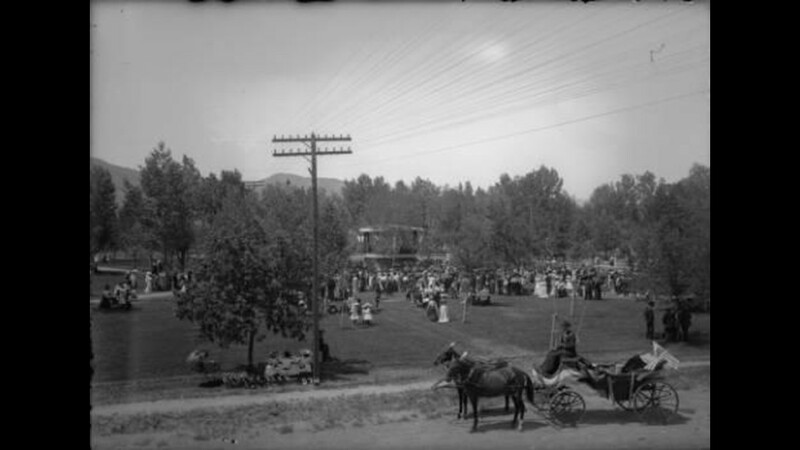 At the same time, people were coming to simply enjoy all the mountains had to offer, others were coming to take advantage of new job opportunities. Many of Salida’s first residents worked on farms or ranches, for the railroads, in mines or for smelting companies that popped up around town. 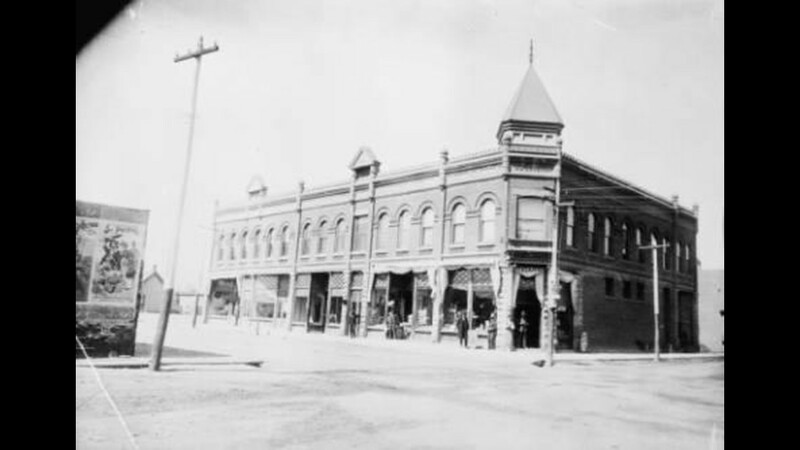 In 1901, the New Monarch Mining Company out of Leadville contacted businessmen in Salida about building a smelter in the town. 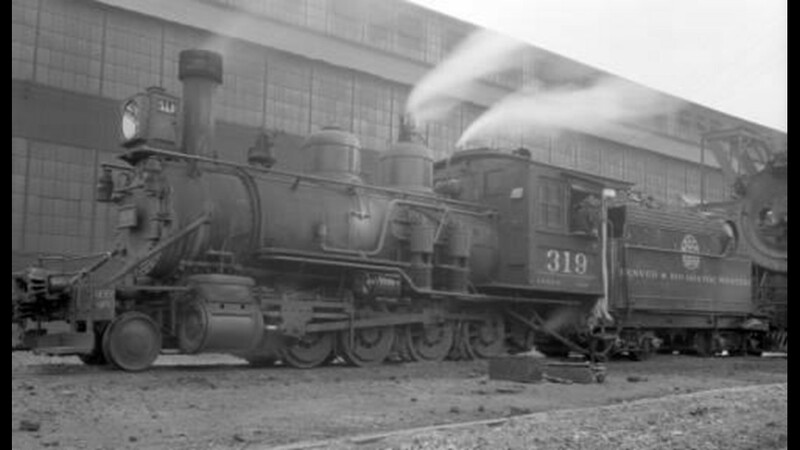 Construction on the plant began in 1902 and it began operation later that same year. 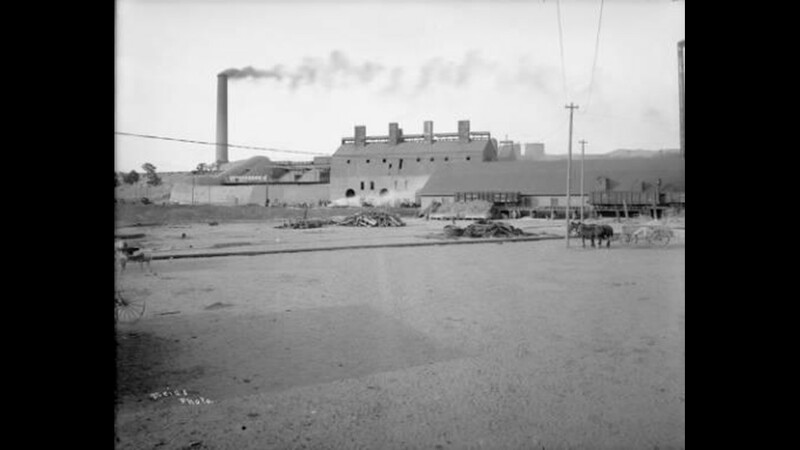 However, due to the fumes the smelter stack produced, the original 150-foot stack was replaced by a massive 365-foot one in 1916. 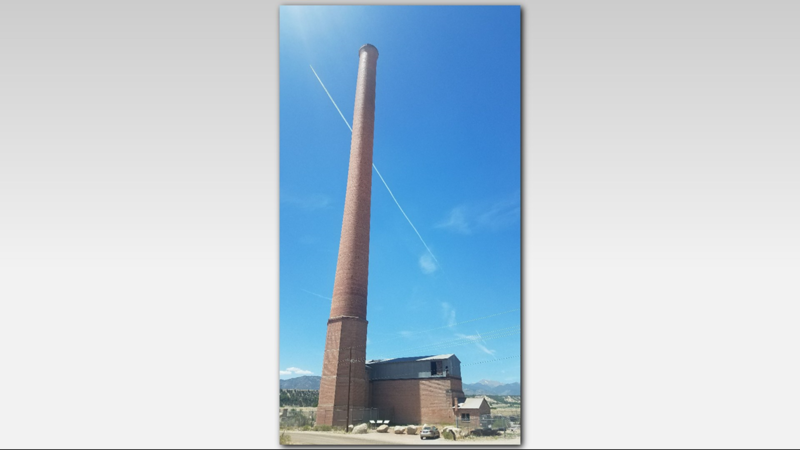 The plant closed in 1920 but the Salida Smokestack still stands as a landmark to those driving into town. On June 19, 1949, 23 brave boaters entered a boat race on the Arkansas River. 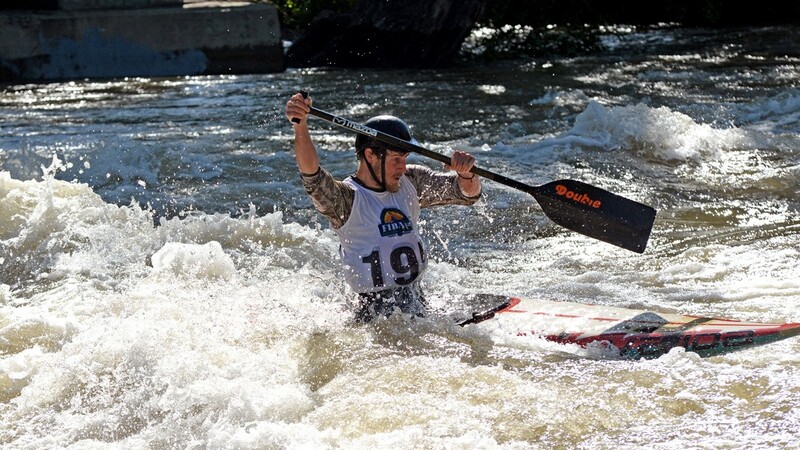 Racing in everything from catamarans to airplane belly-tanks, the athletes came from all over the world. 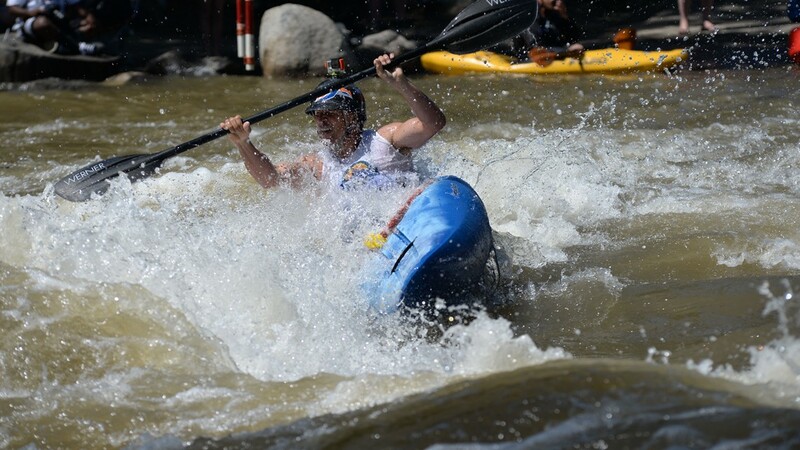 The treacherous course began in Salida, then ran 57 miles of high spring runoff rapids, through the Royal Gorge and ended in Canon City. 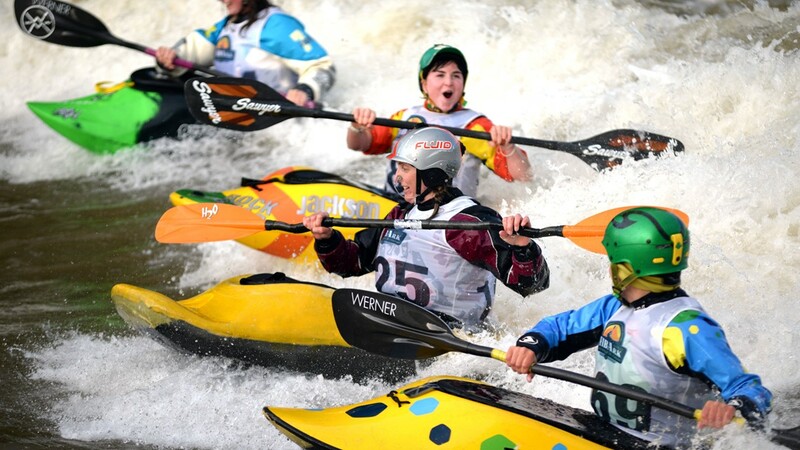 Only one of the six boats, manned by two Swiss boaters, reached the finish line that first year. 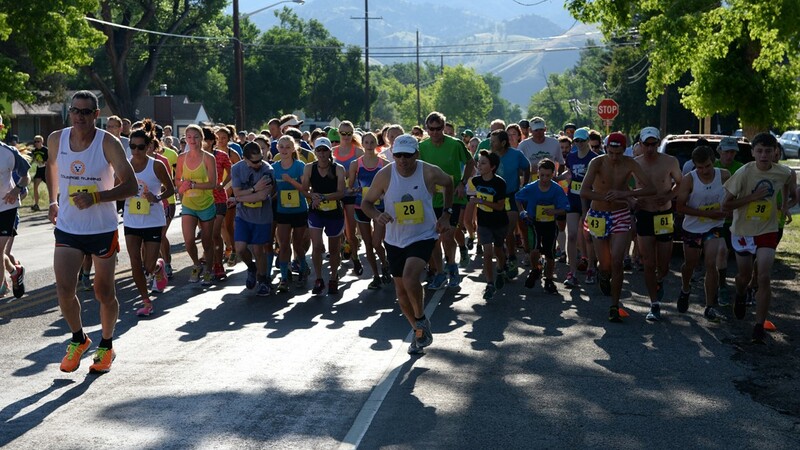 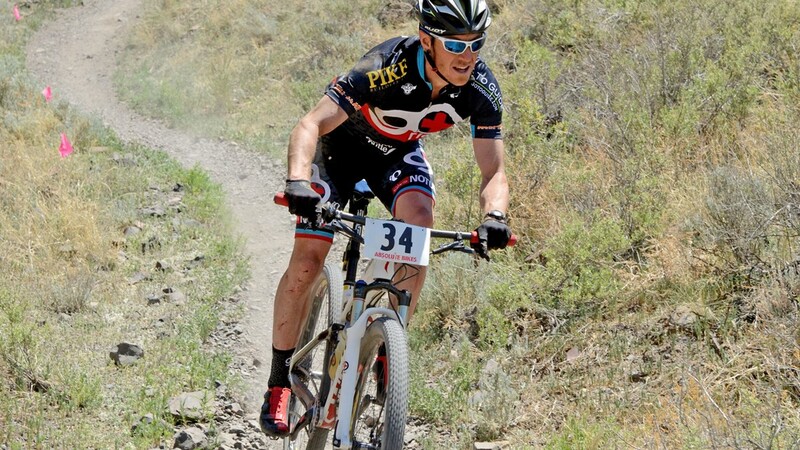 The next year the race was shortened by 10 miles, cutting out the dangerous Royal Gorge section. 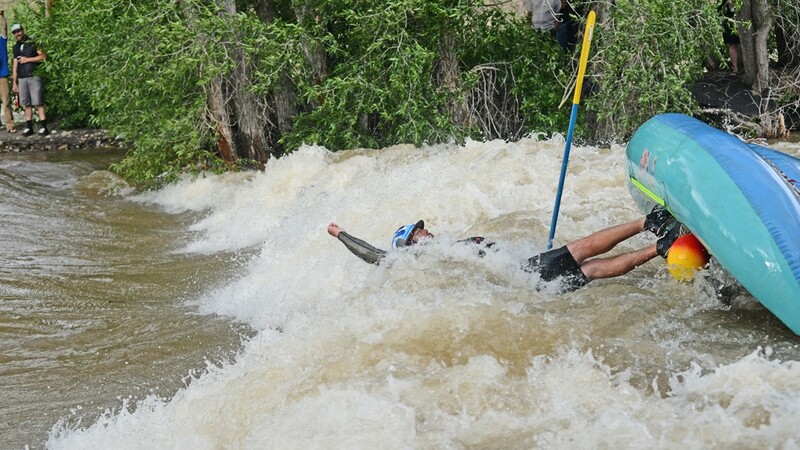 This time 10 boats entered, but again there was only one finisher. 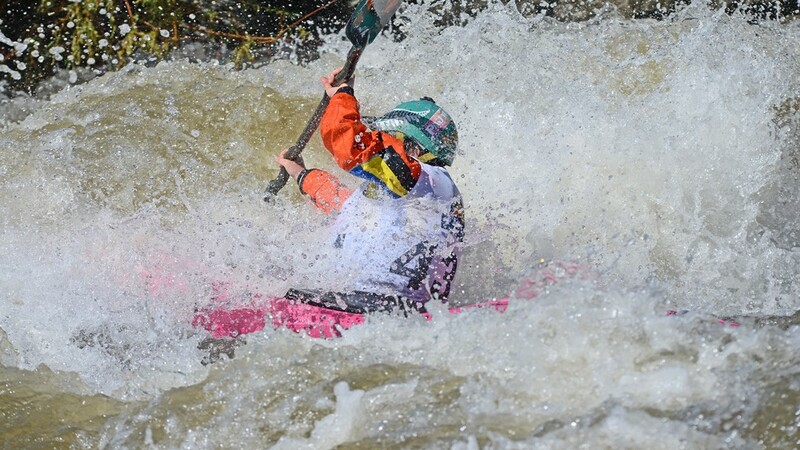 In its third year, the course was finally set to something achievable: a 25.7-mile route from Salida to Cotopaxi. 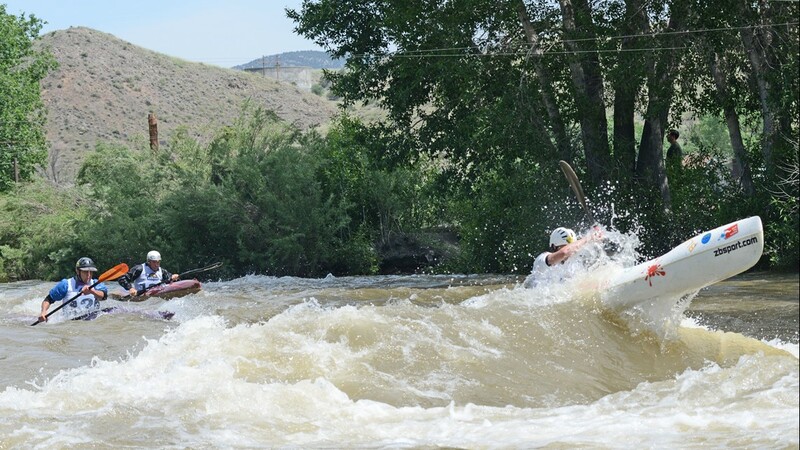 Eleven boats entered that time and 10 finished. 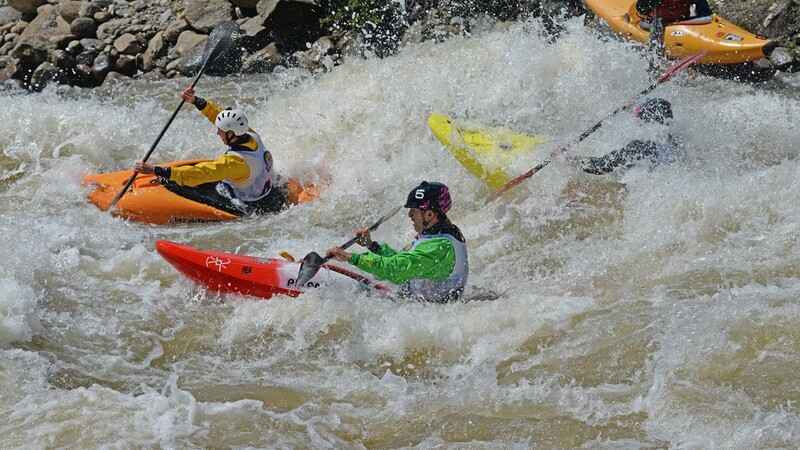 That is still the course run by boaters in the First in Boating the Arkansas (FIBArk) downhill river races, the longest whitewater race in the United States. 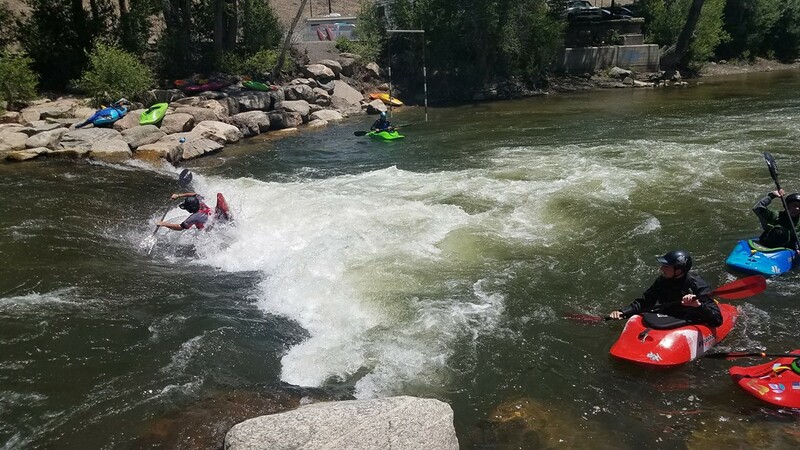 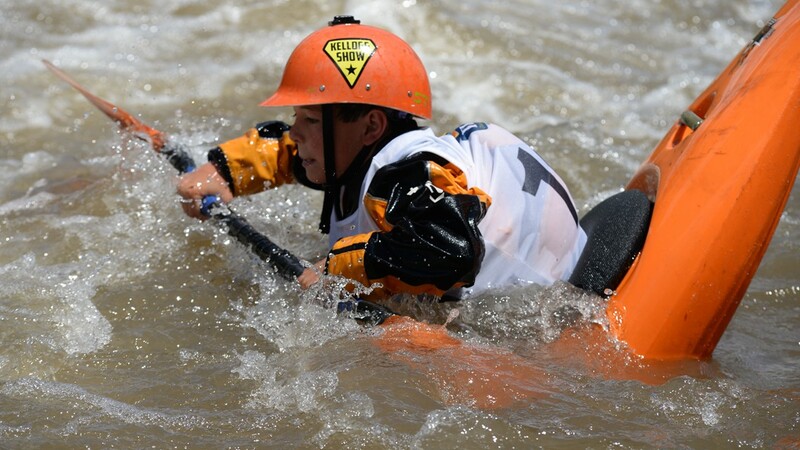 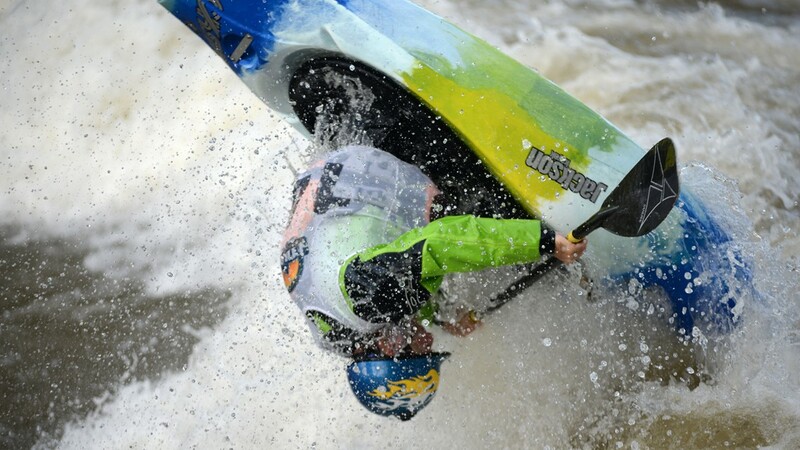 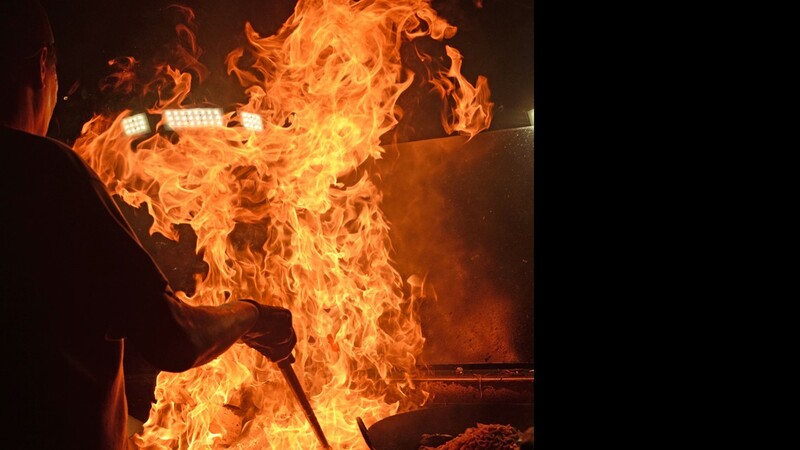 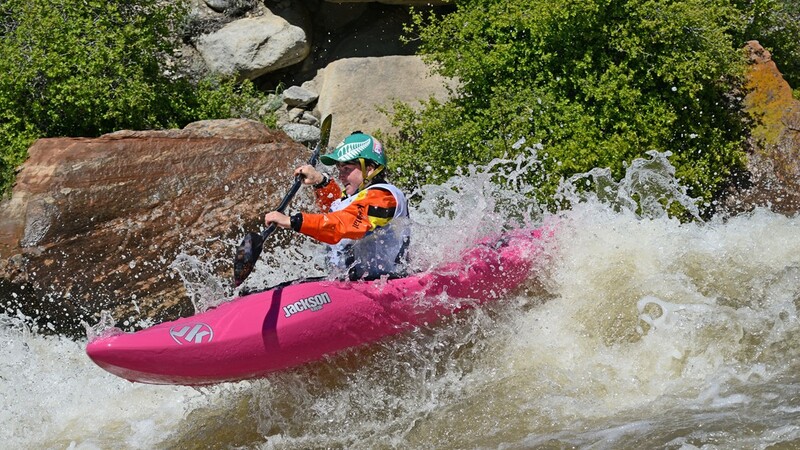 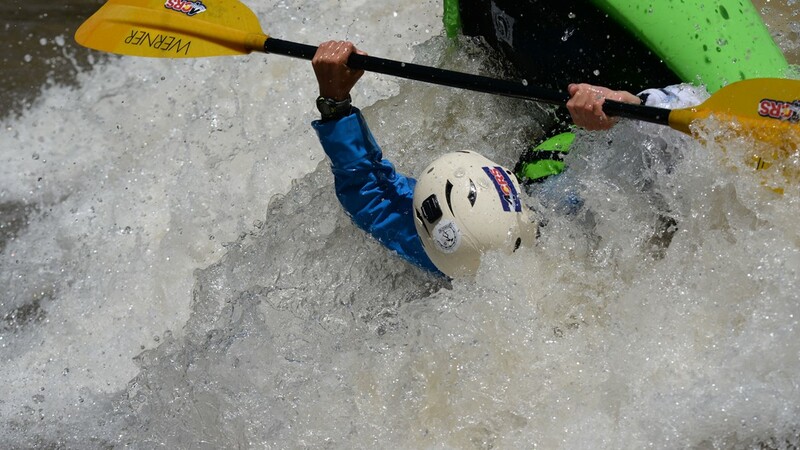 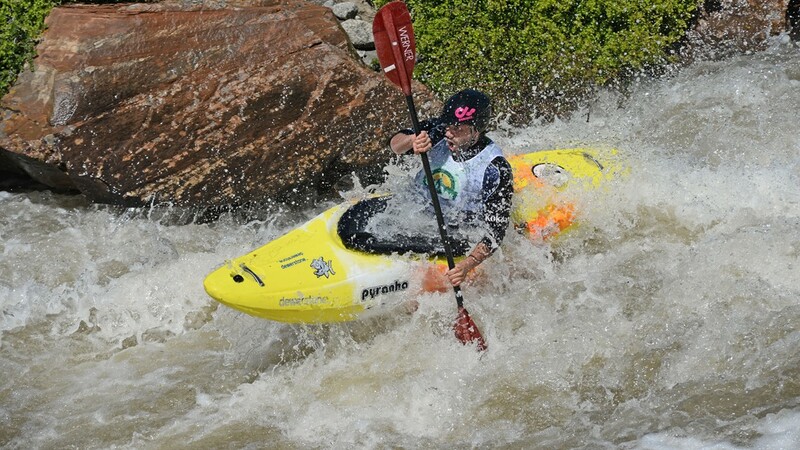 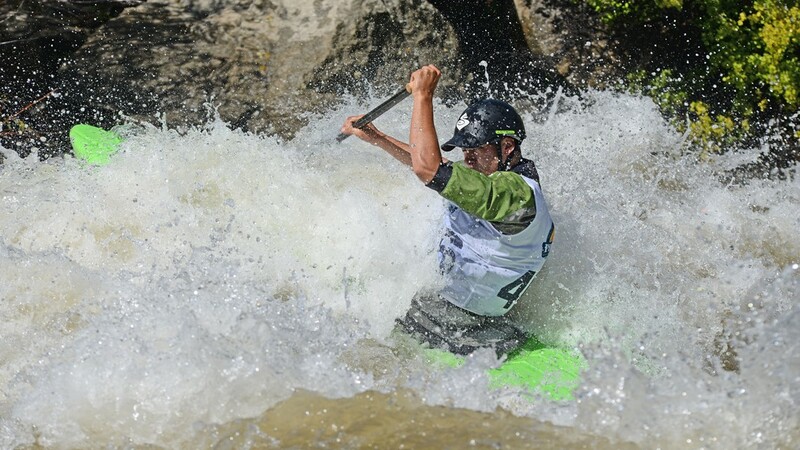 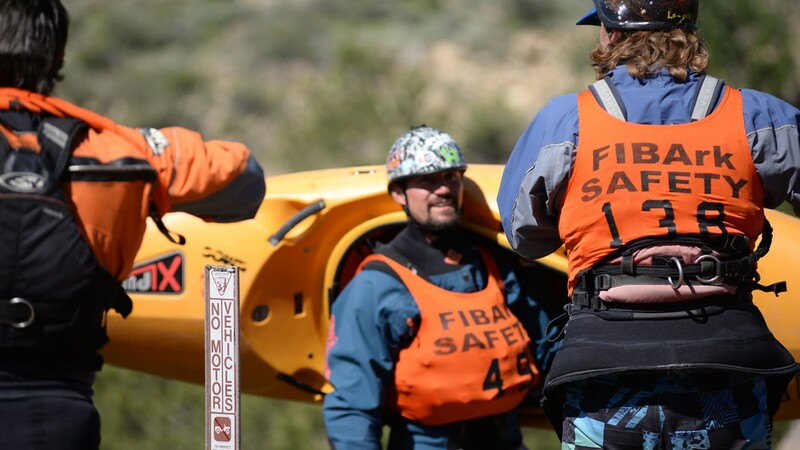 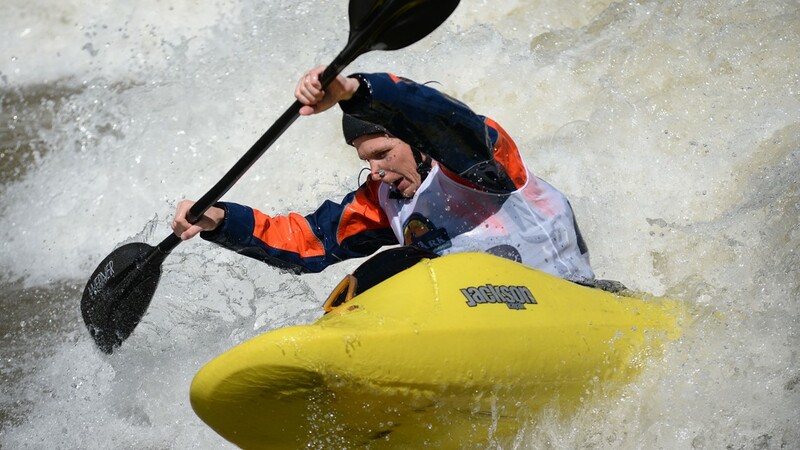 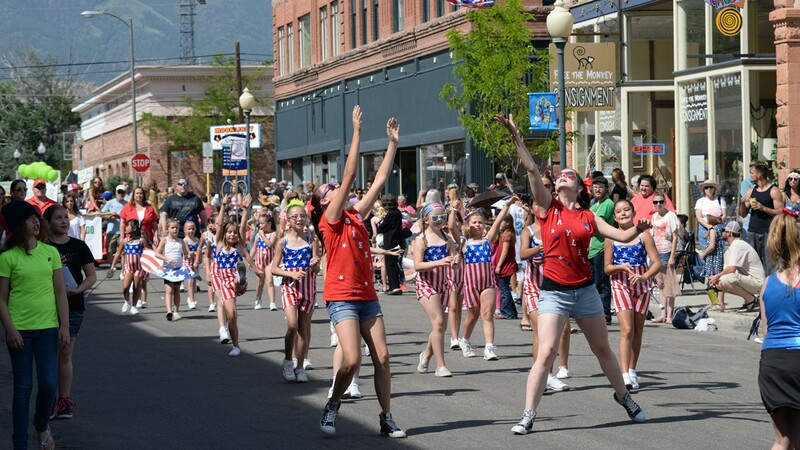 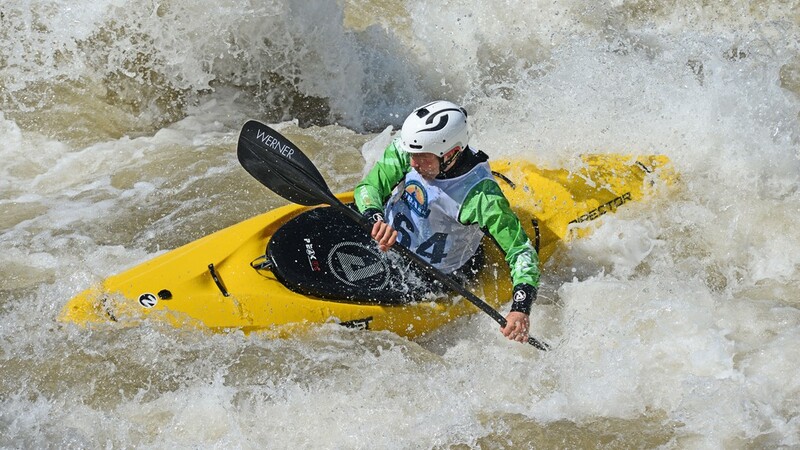 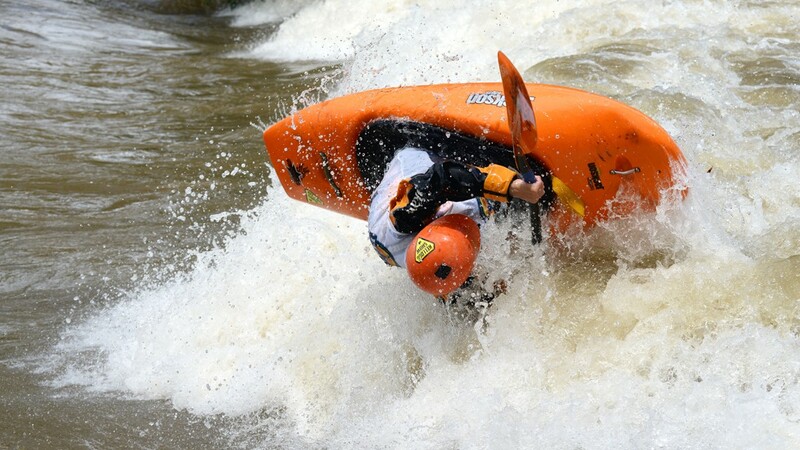 The FIBArk festival has taken place in Salida every year since that initial 1949 race, making it the oldest whitewater festival in the country, as well. 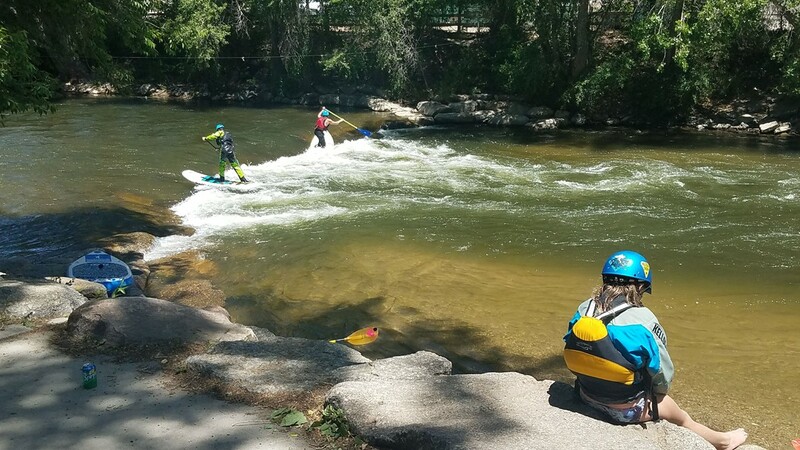 These days, FIBArk also includes Stand-Up Paddleboard events, kayak freestyle, slalom races, a disc golf tournament, a running race, a parade and live music. 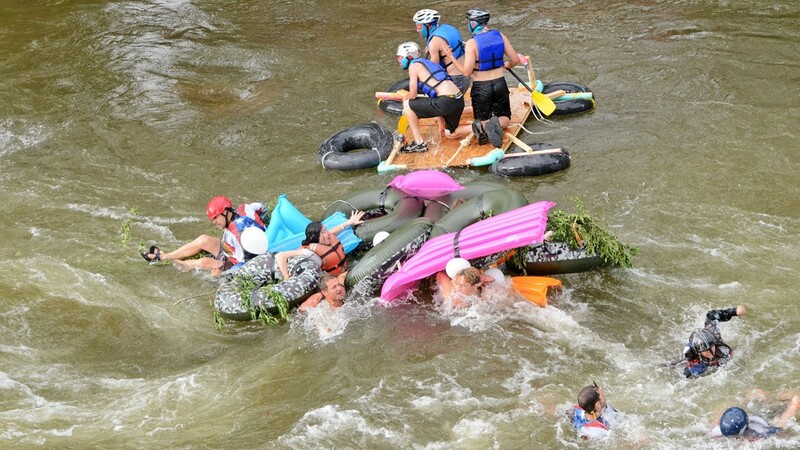 There’s also the always-entertaining “hooligan” race where competitors can use “anything that floats that isn’t a boat” as a tribute to those early days. 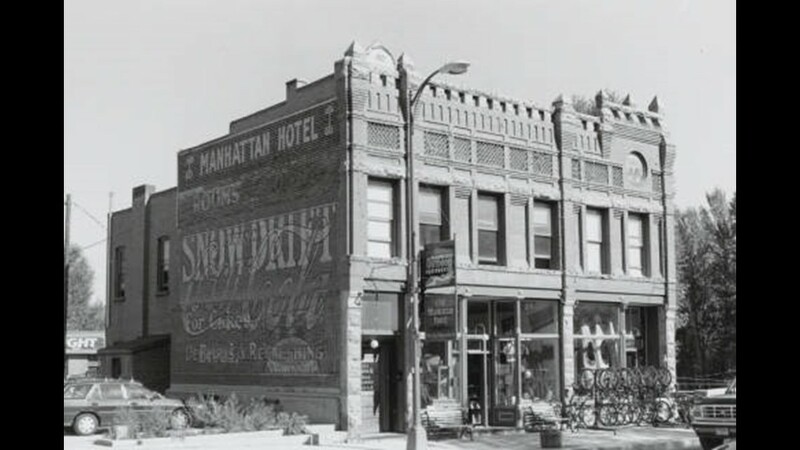 While the influence of the railroad has waned, Salida has remained a crossroads for those exploring the Colorado mountains. 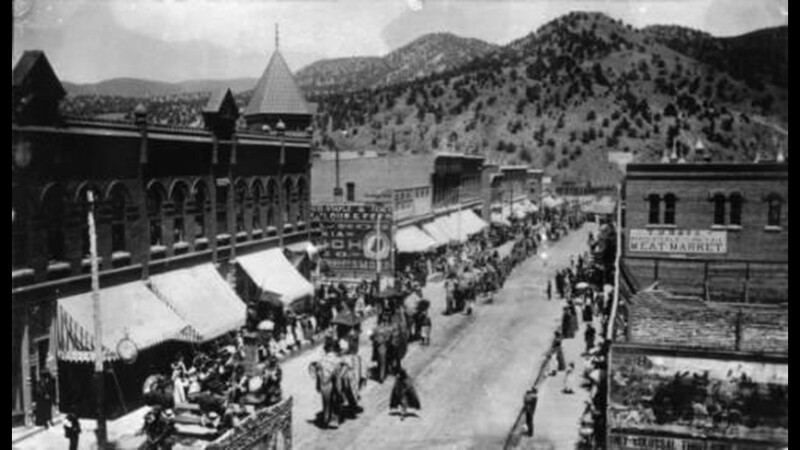 Visually, downtown Salida looks reminiscent of that original mining town. 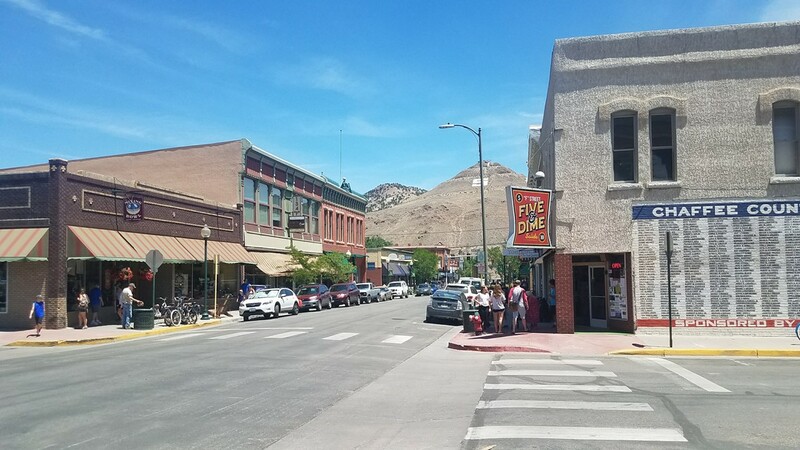 The Salida Downtown Historic District includes about 130 brick buildings from the turn of the century, the largest National Historic District in the state, according to the Salida Chamber of Commerce website. 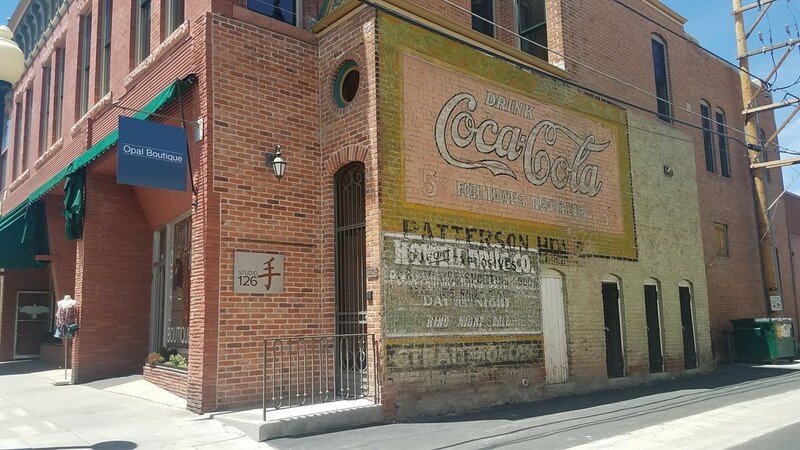 You can see some of the most popular restaurants and other suggestions for places to stop while in town in the photo gallery at the top of this story. 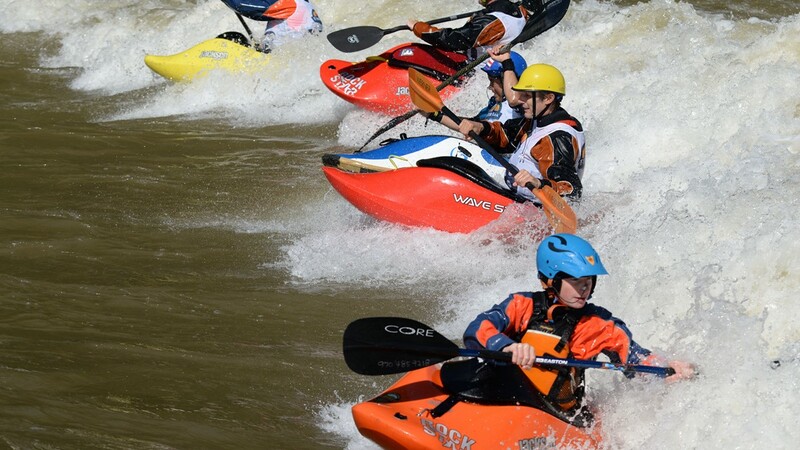 Even if you aren’t ready to enter to boat races during FIBArk, visitors to the city are still able to experience the thrill of the Arkansas River. 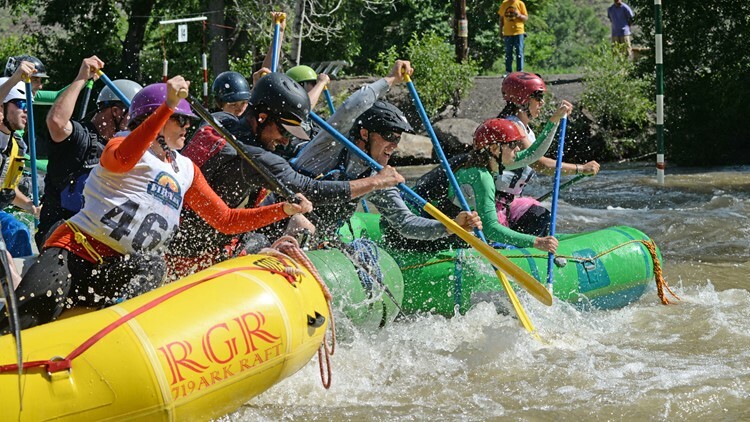 There are an abundance of rafting companies in the area that offer easy float trips for beginners, half-day adventures in class IV rapids, multi-day raft trips and everything in between. 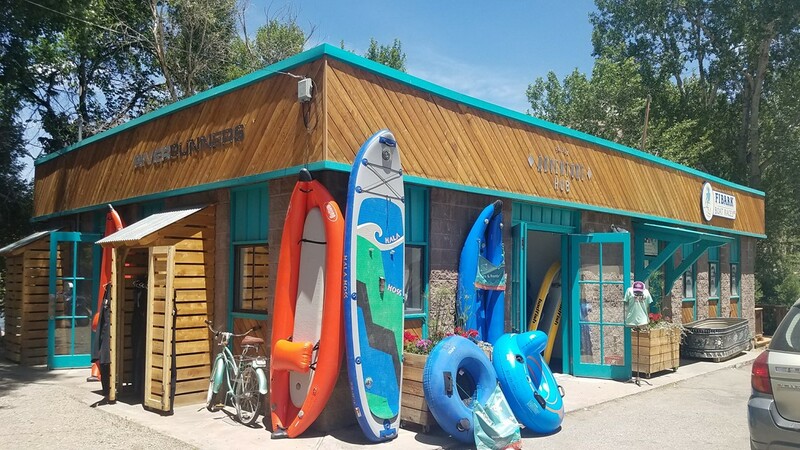 There are also outfitters that will rent kayaks and stand-up paddleboards and offer lessons on using them in whitewater conditions. 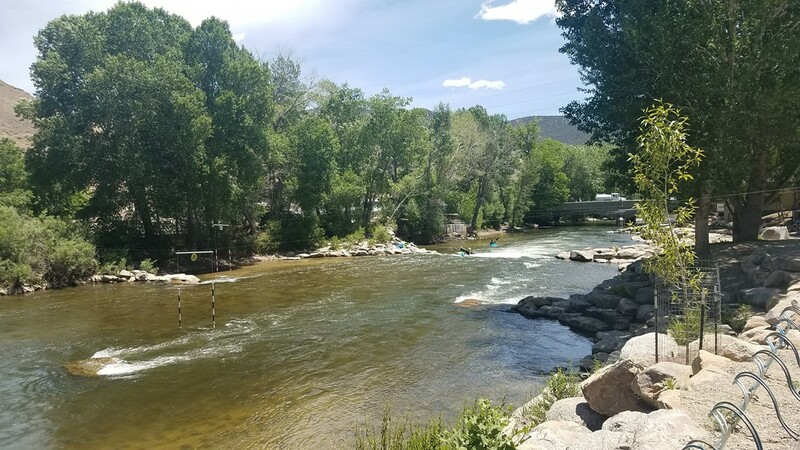 Those who would rather stay dry can explore Browns Canyon National Monument, about ten miles outside of Salida. 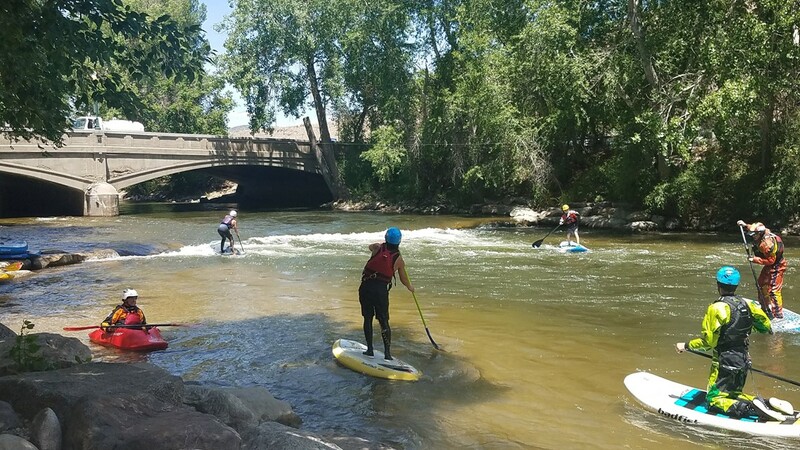 Designated in 2015, it’s Colorado’s newest National Monument and offers visitors miles of hiking and mountain biking trails, as well as public fishing in gold medal waters. 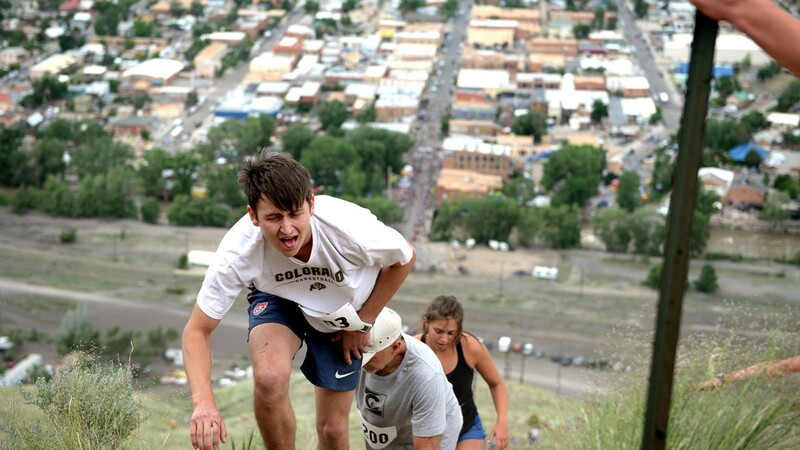 Another trail, right in town, provides an amazing view of the city below. 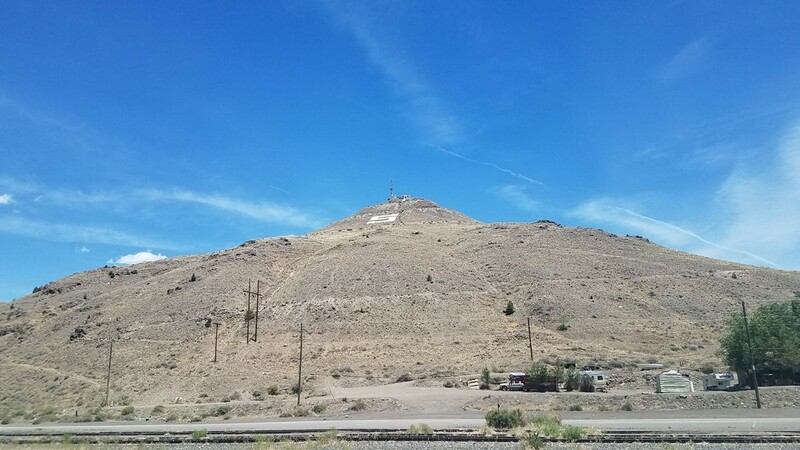 On the East end of the town is Tenderfoot Mountain, marked by a large “S.” At the top is a small observation house. 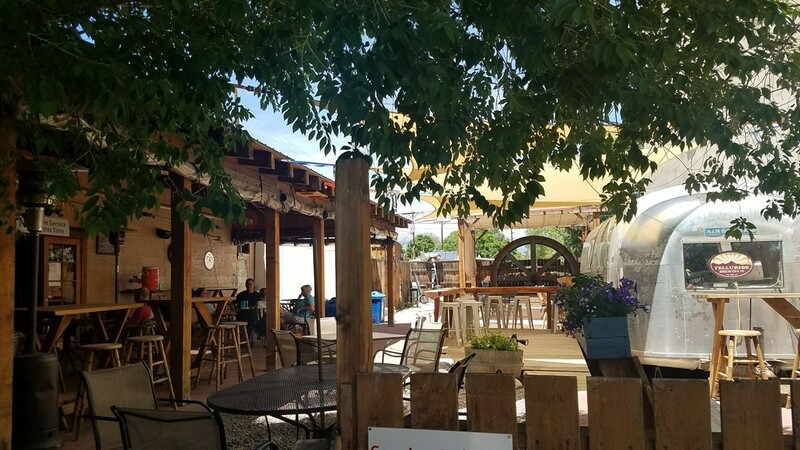 You get there by taking Spiral Drive, a dirt road that intersects with Ute Trail (from downtown head northwest on 1st street, turn right on CO road 175, then turn right again to stay on 175. 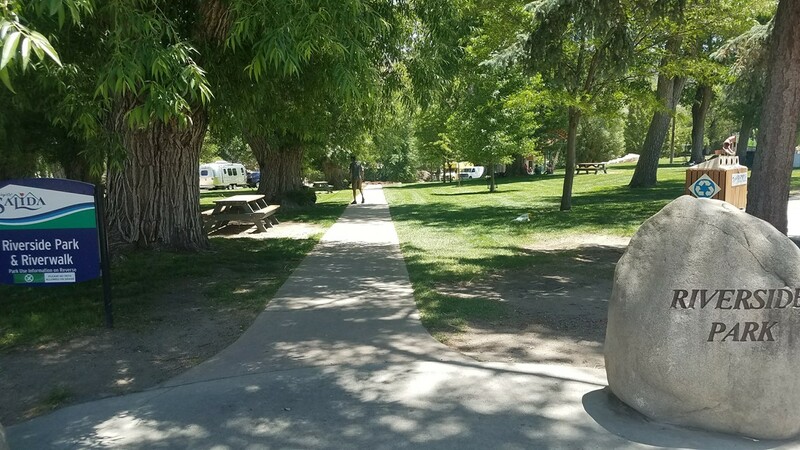 This will become Ute Trail). 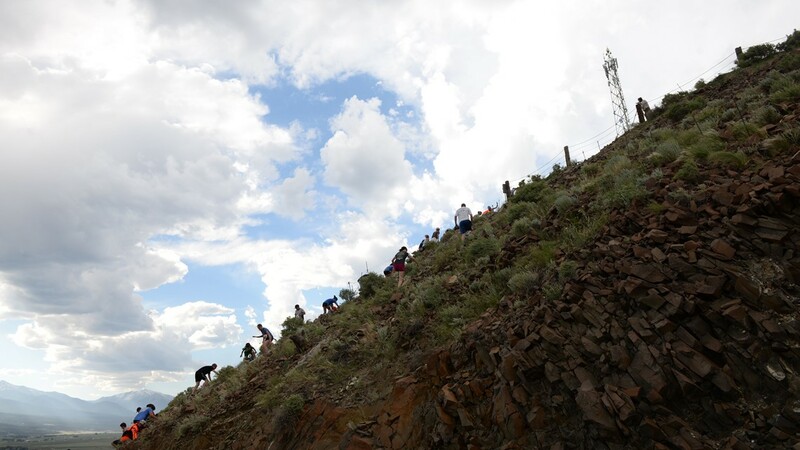 You can walk, bike or even drive up Spiral Drive to get to the observation house and take in the amazing views below. 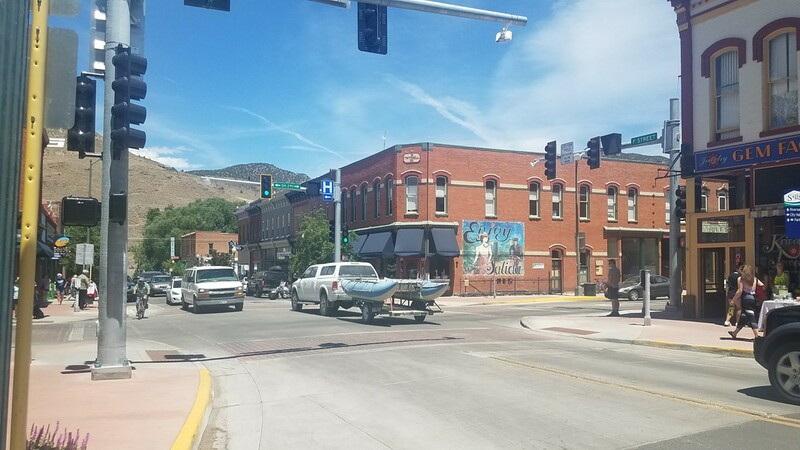 After a long day exploring town, Salida even has a hot springs pool to help you relax. 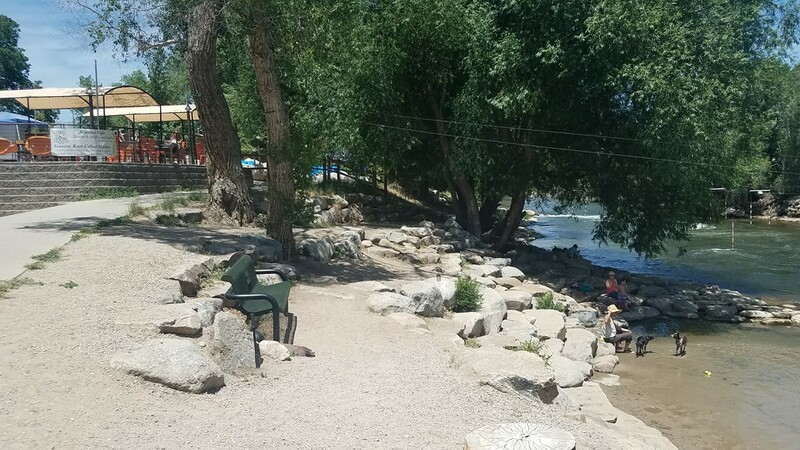 Originally built in 1937, the indoor Salida Hot Springs Aquatic Center is fed by natural hot springs located five miles underneath the facility and fed up through pipelines.